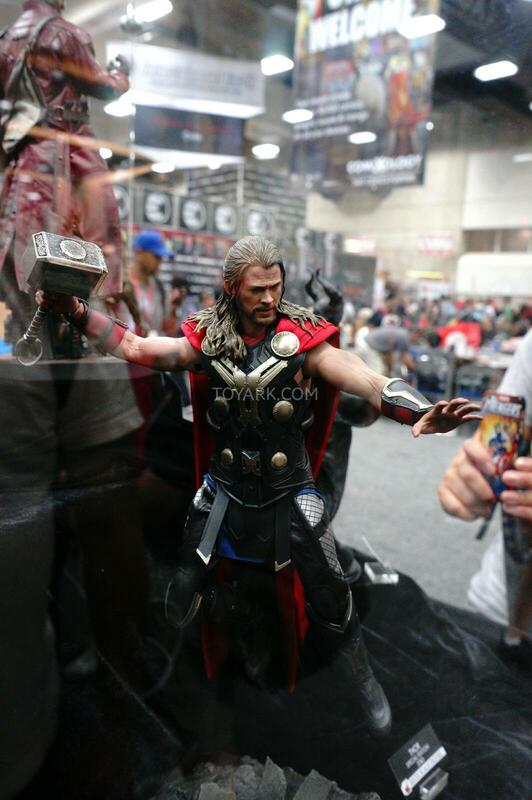 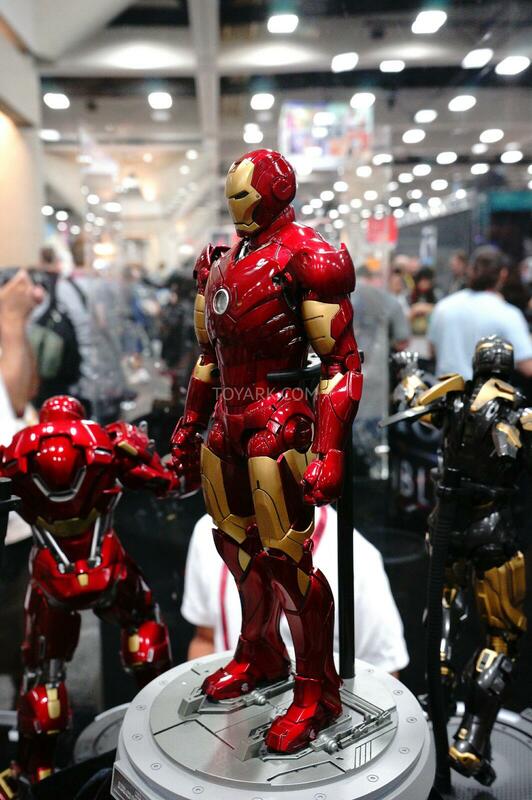 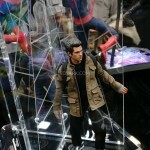 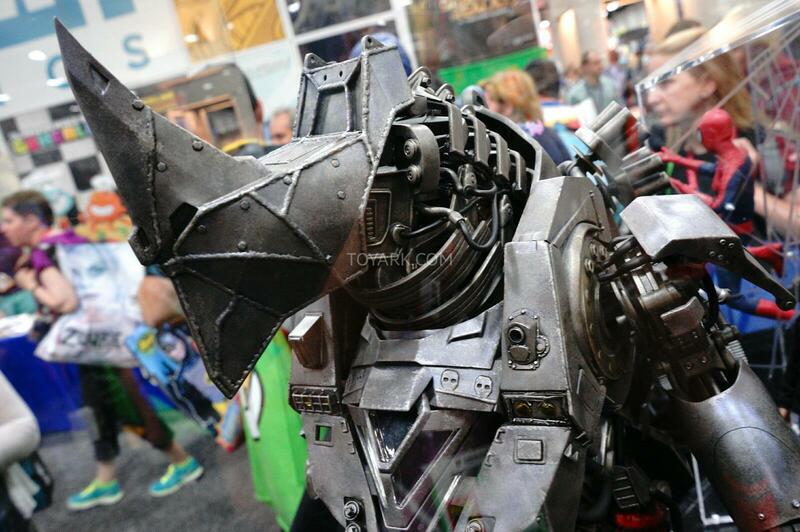 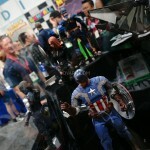 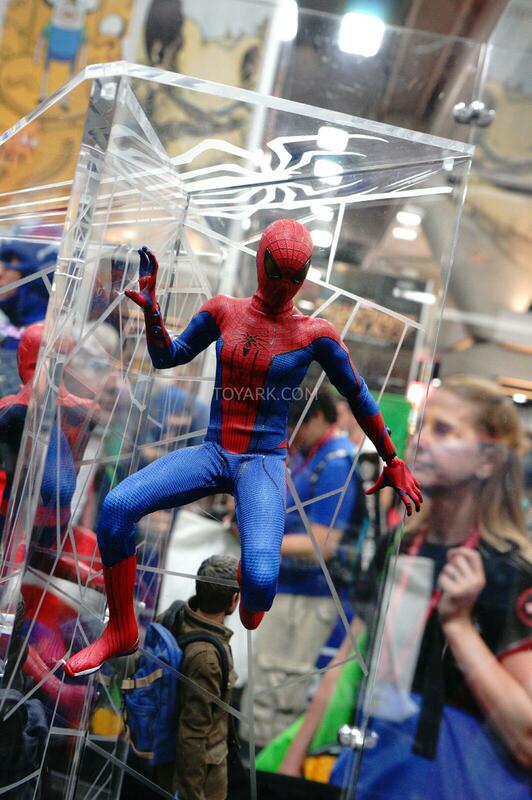 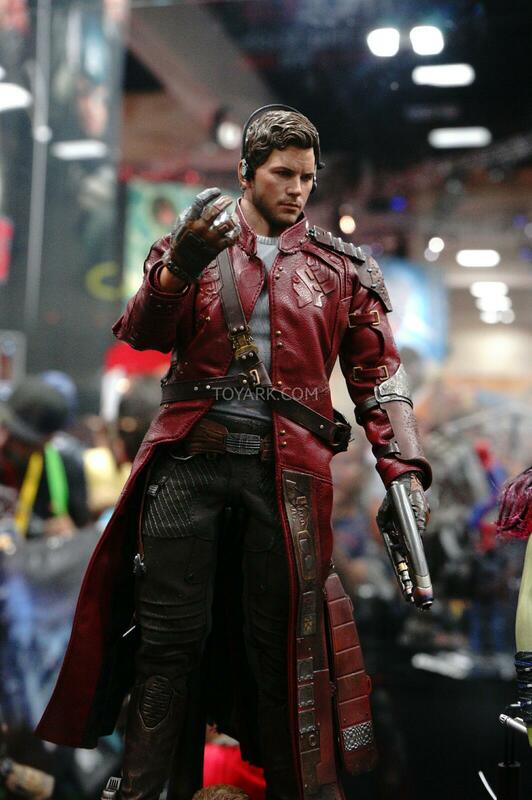 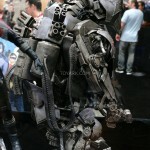 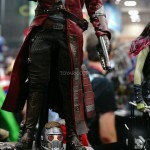 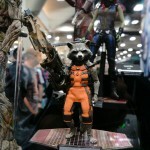 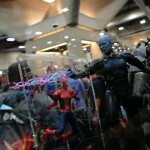 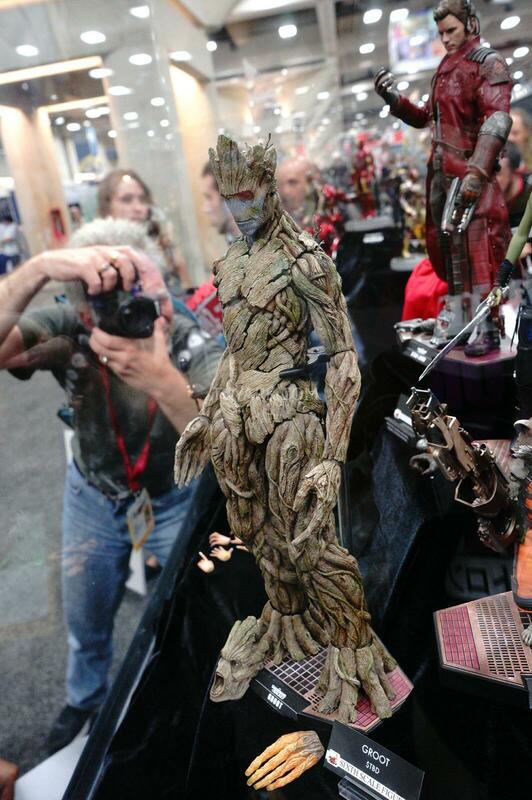 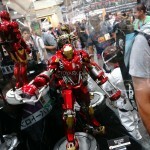 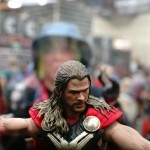 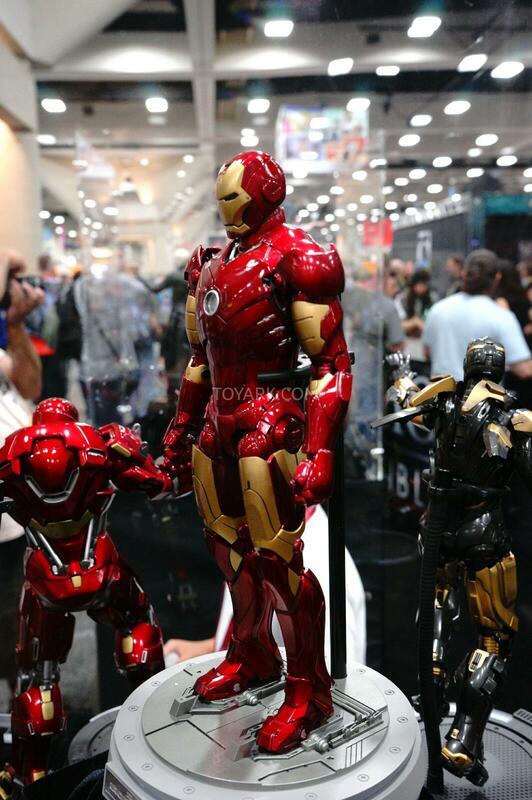 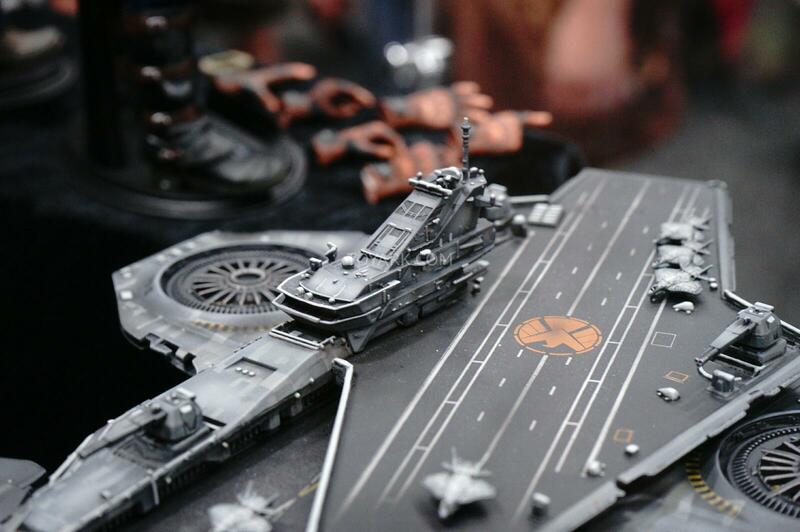 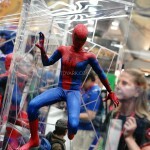 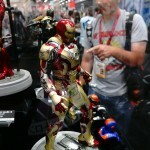 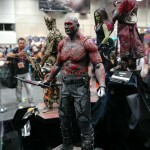 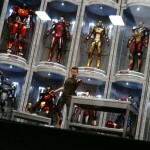 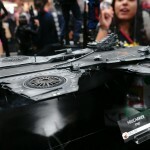 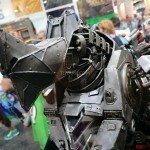 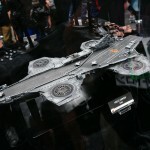 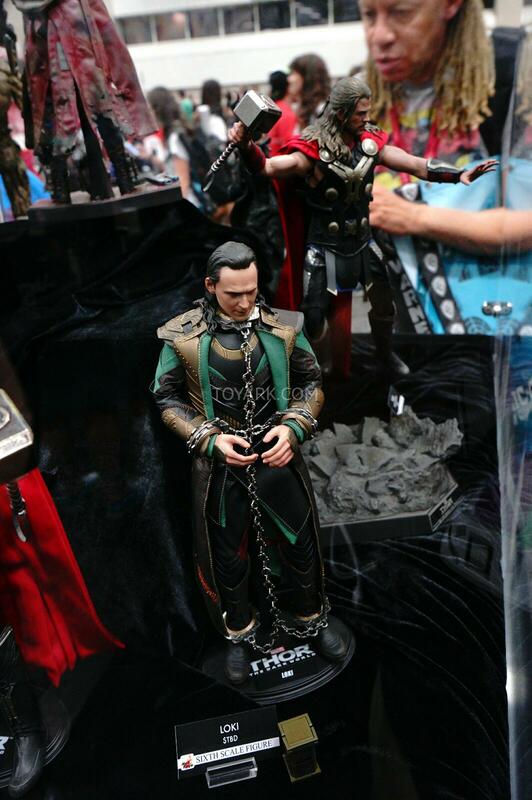 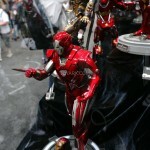 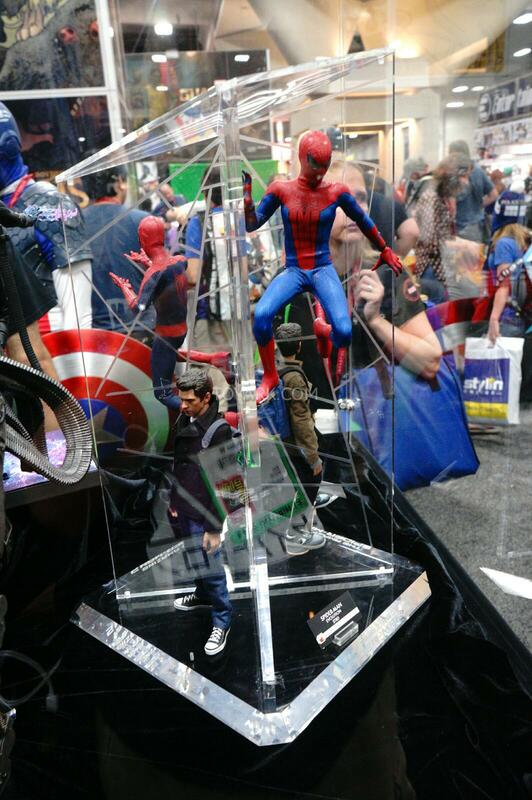 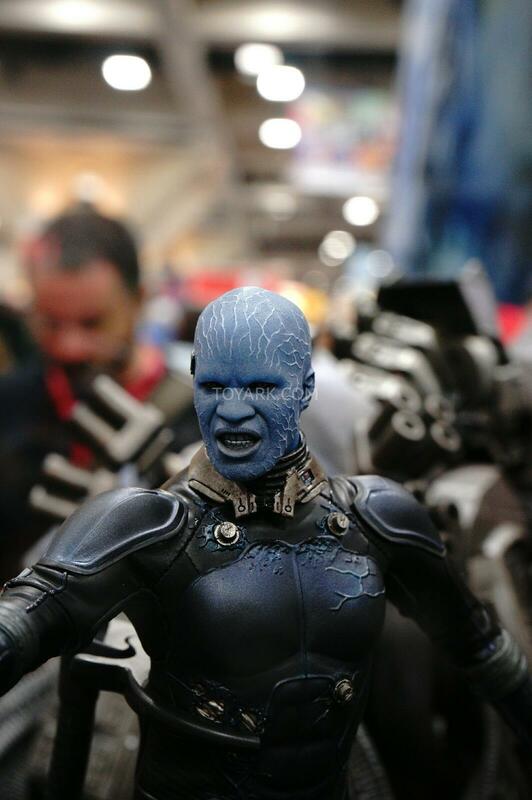 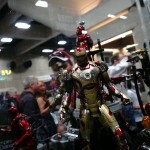 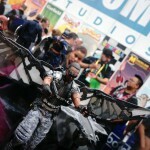 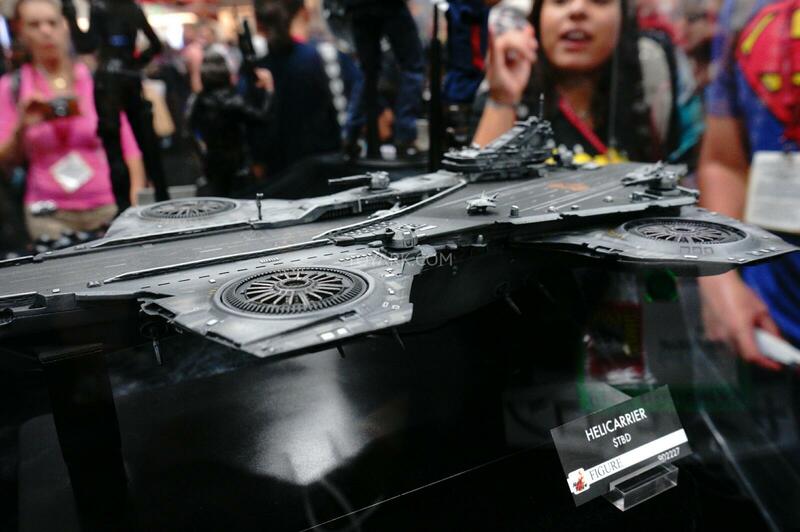 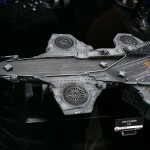 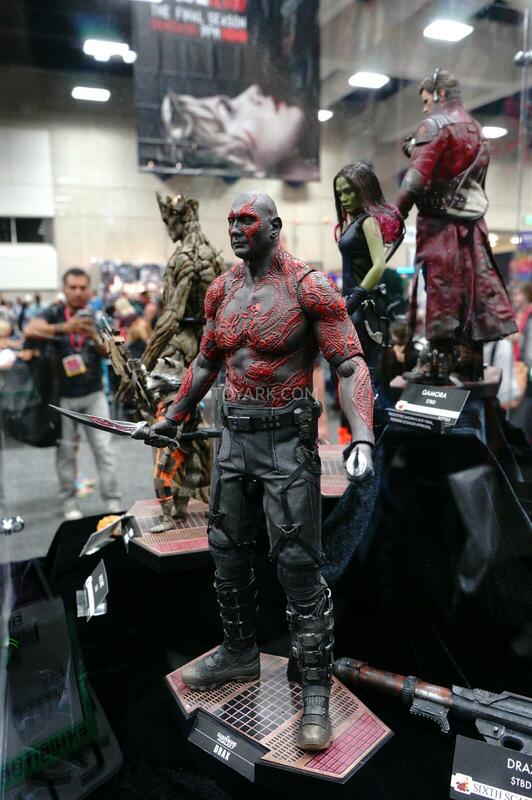 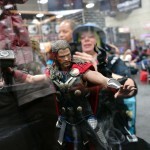 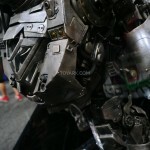 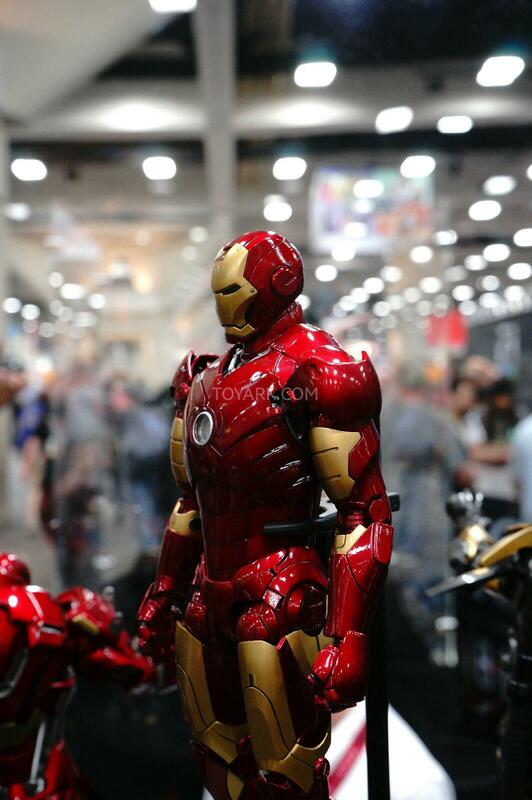 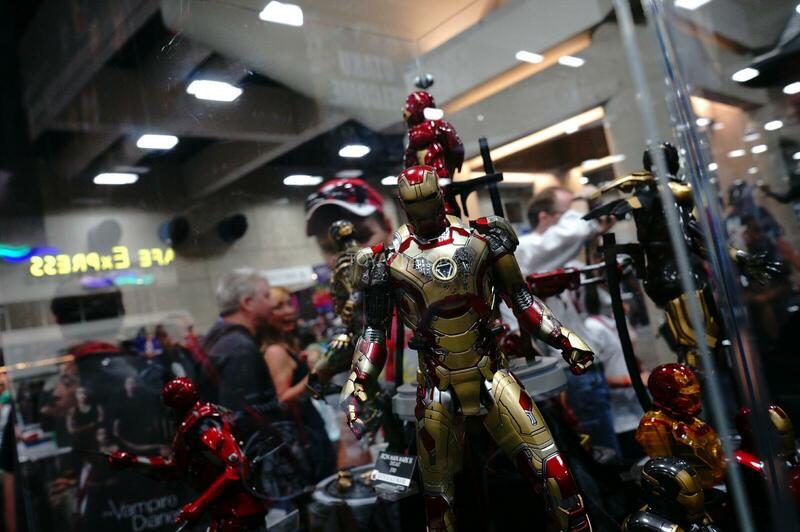 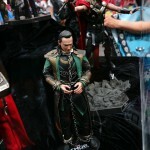 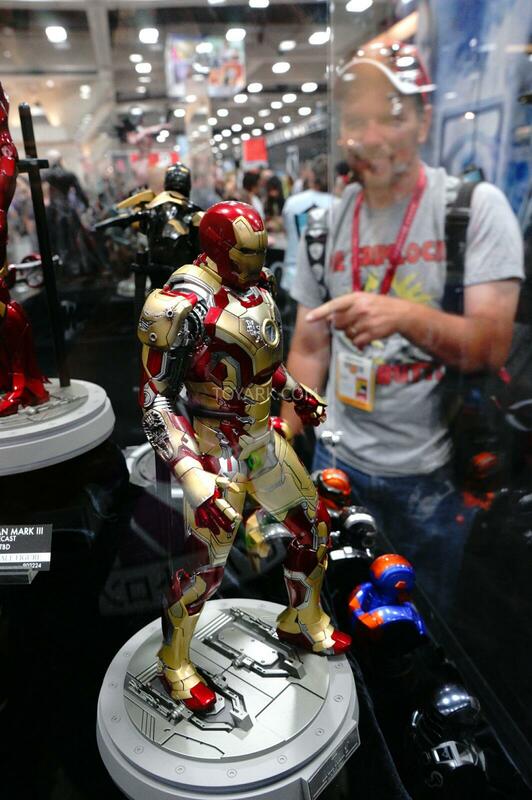 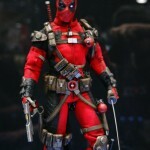 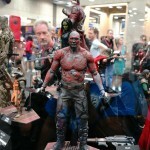 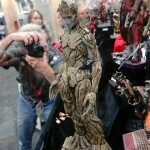 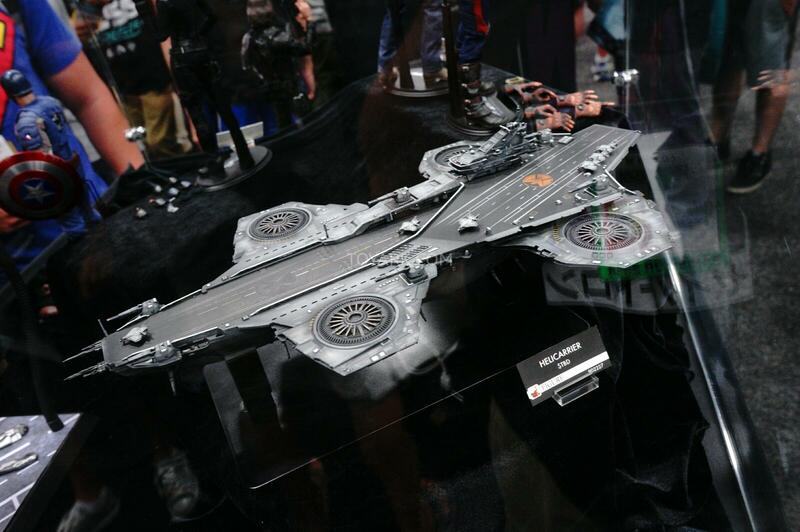 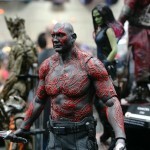 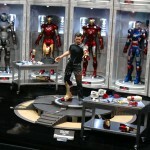 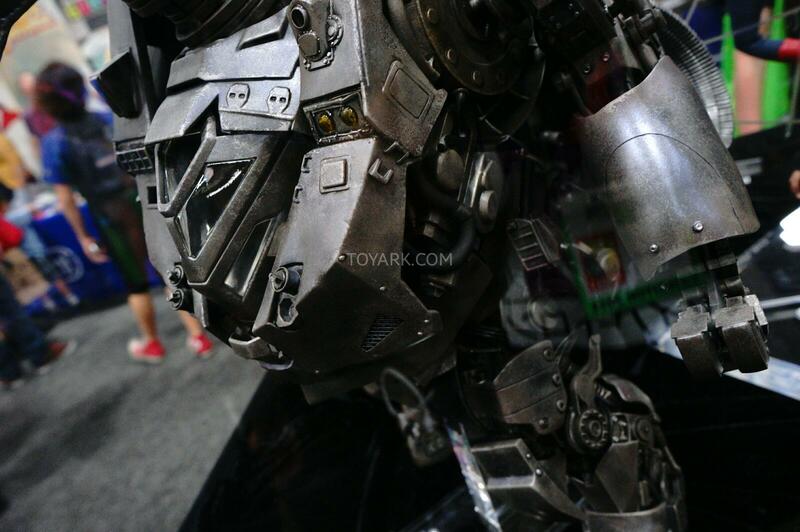 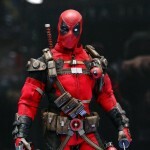 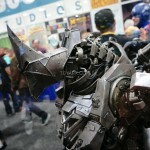 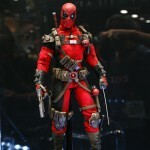 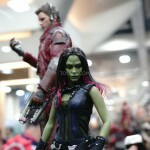 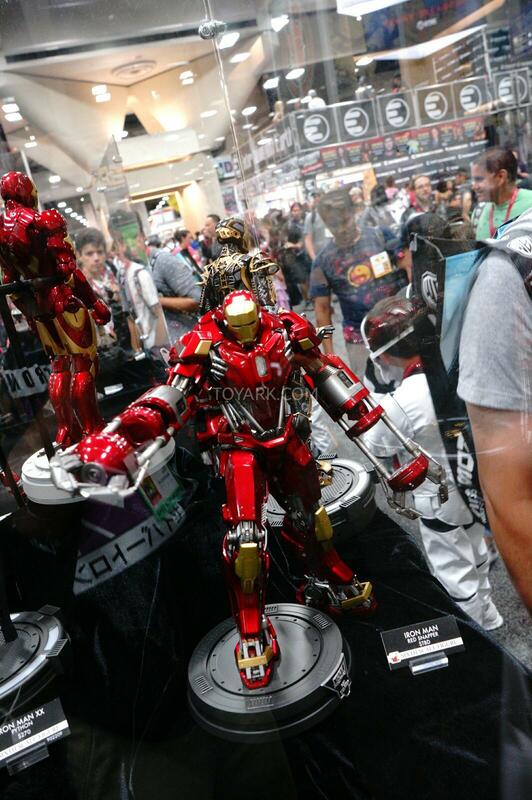 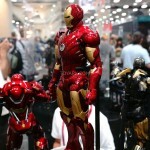 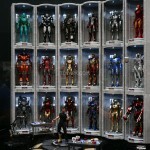 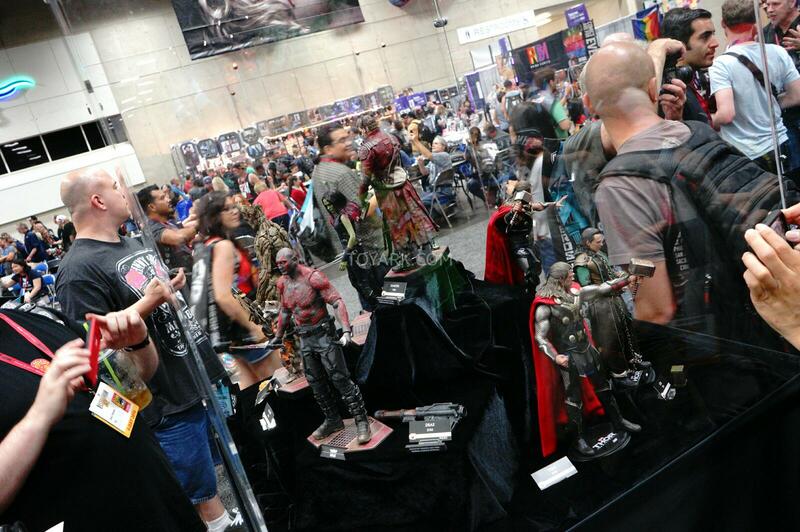 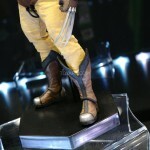 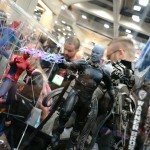 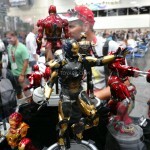 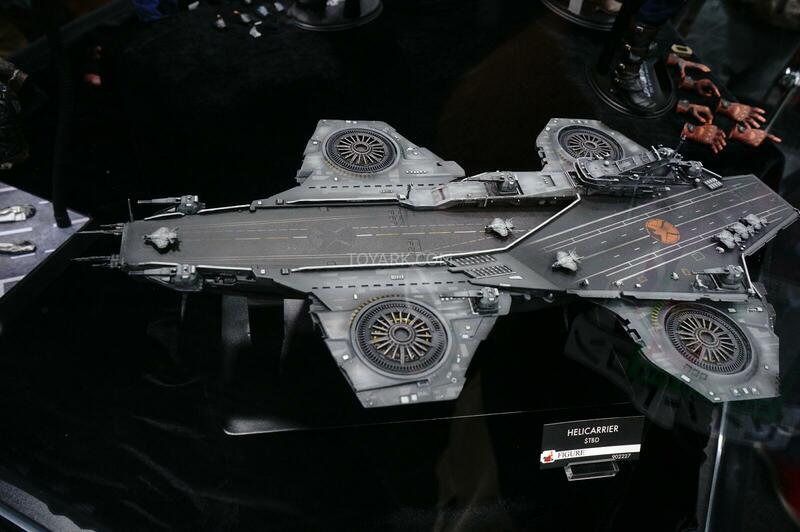 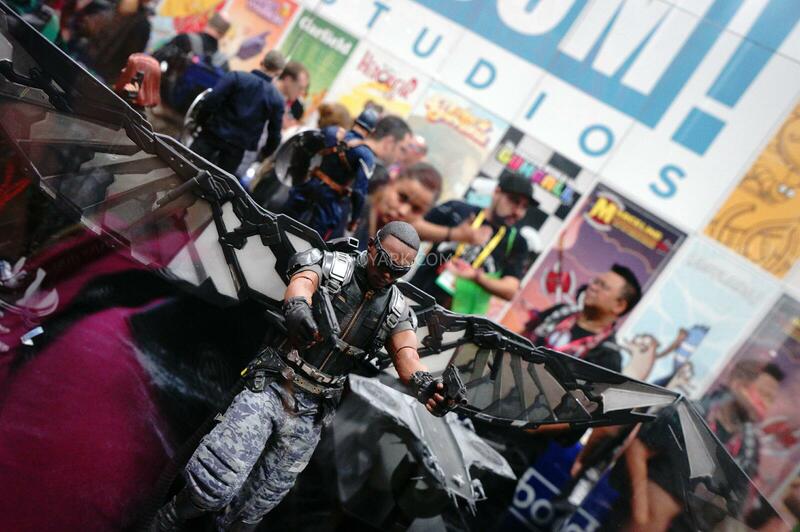 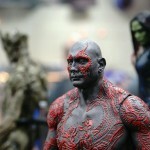 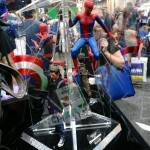 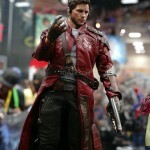 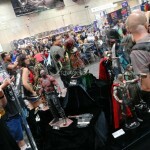 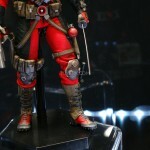 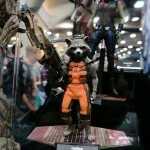 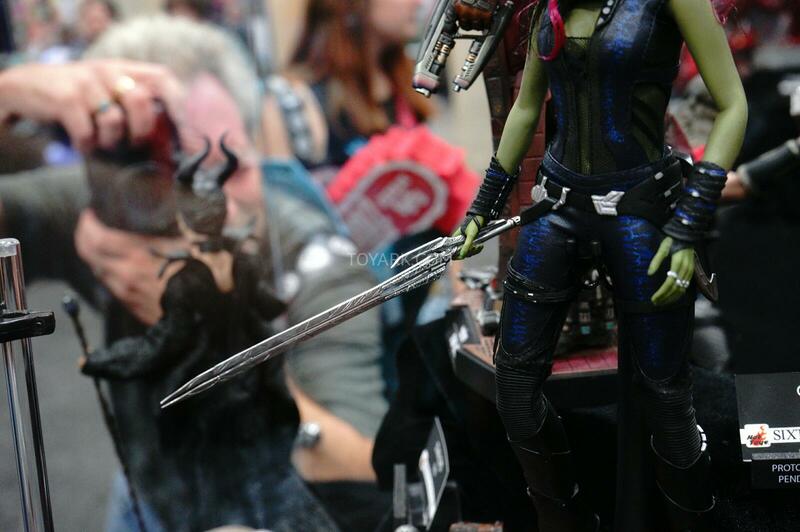 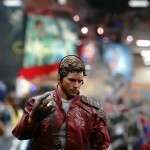 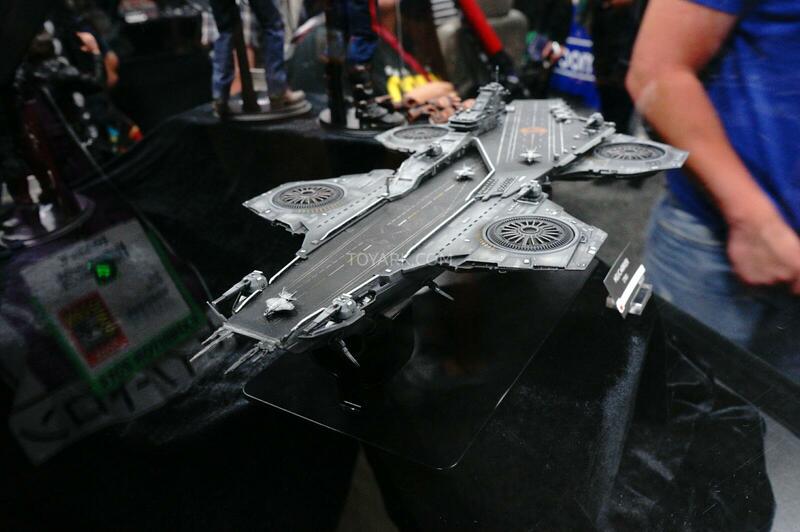 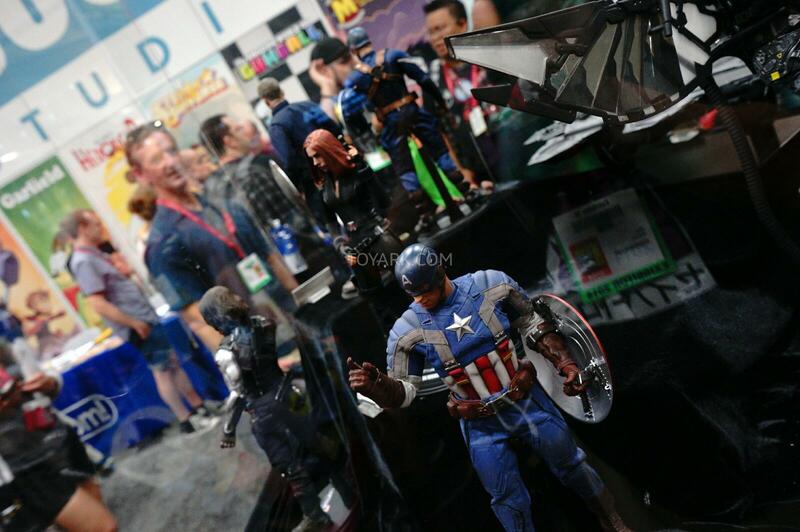 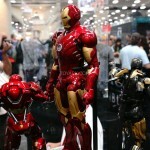 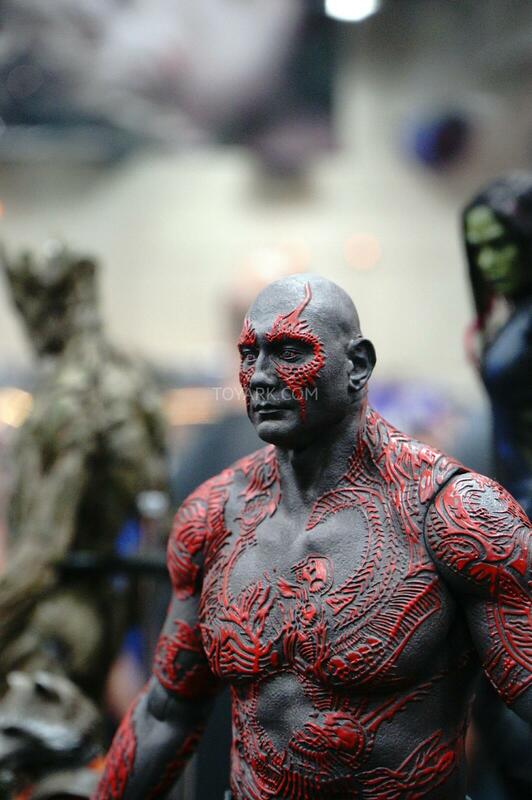 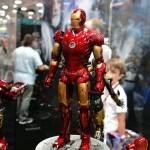 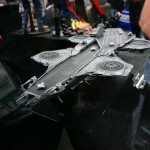 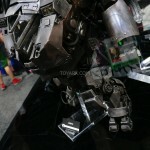 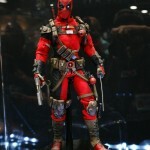 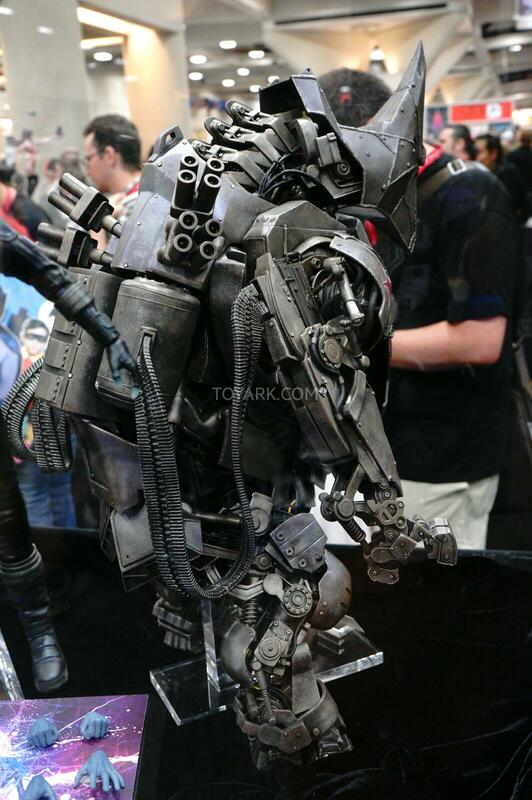 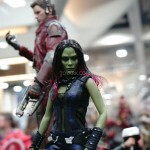 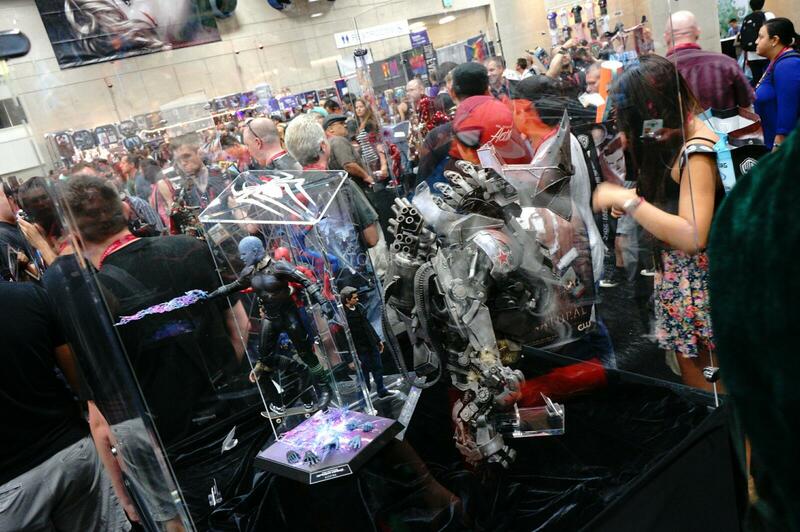 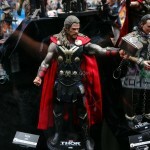 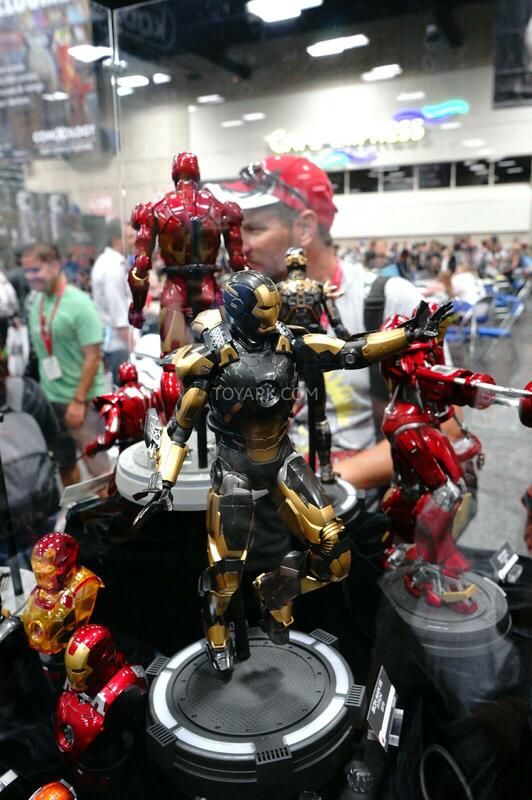 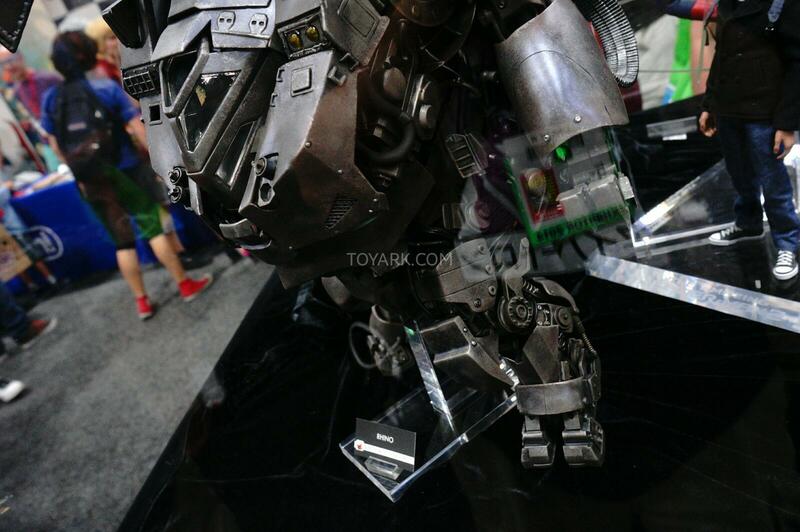 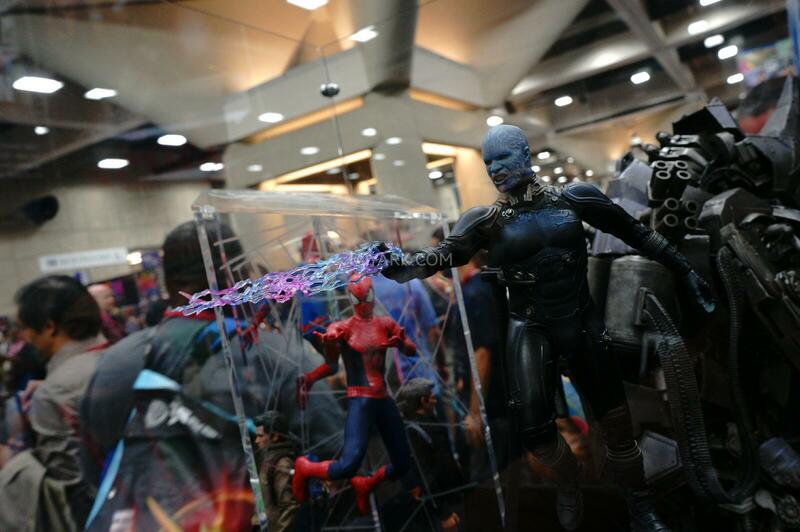 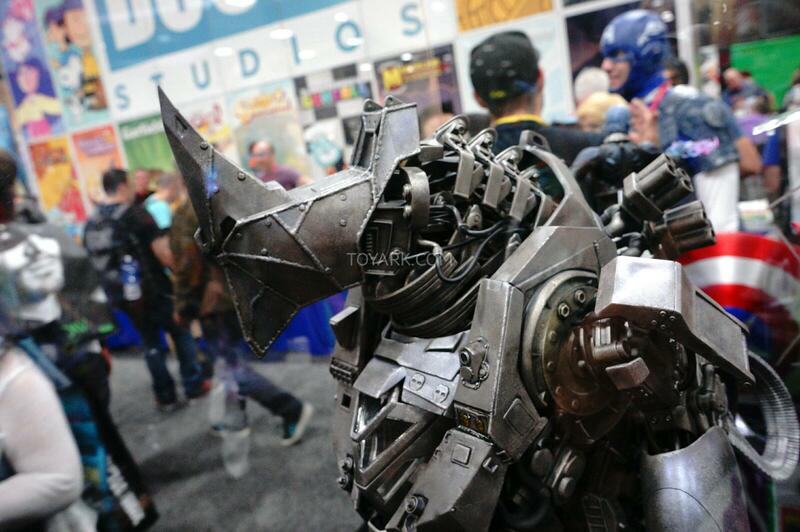 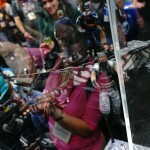 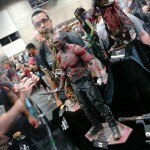 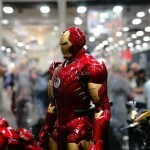 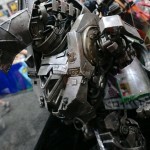 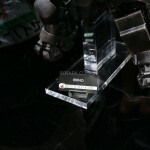 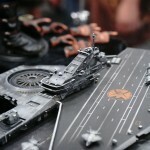 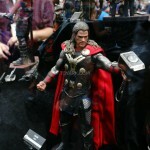 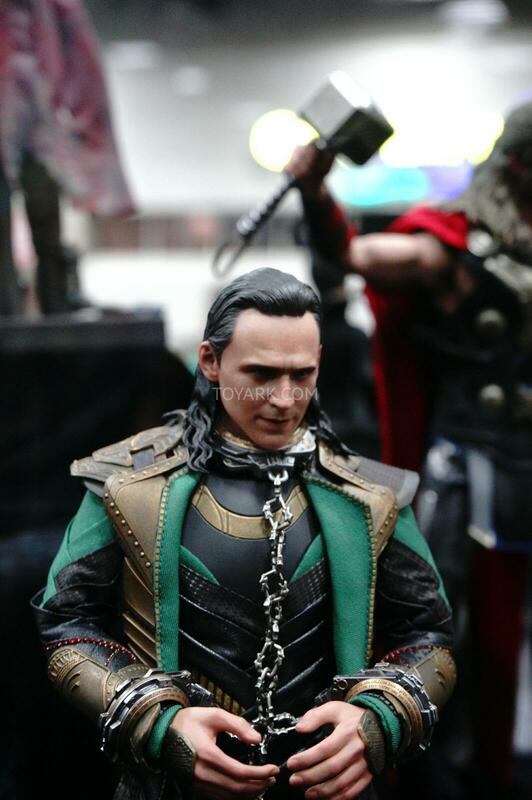 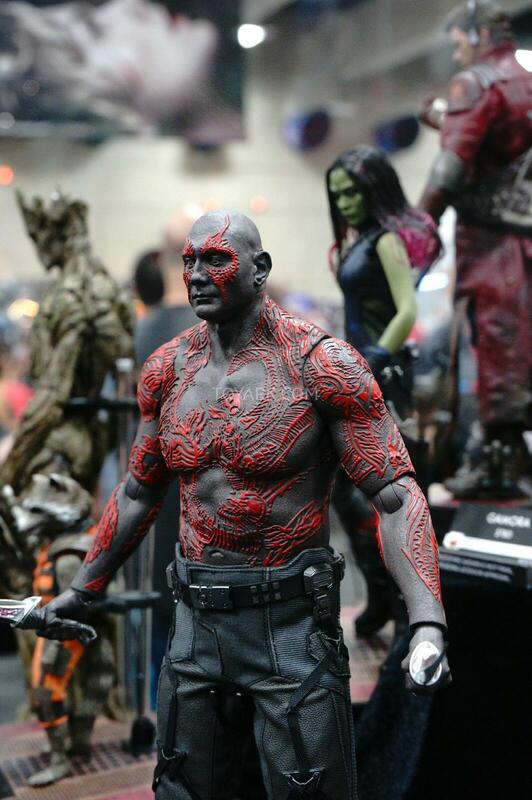 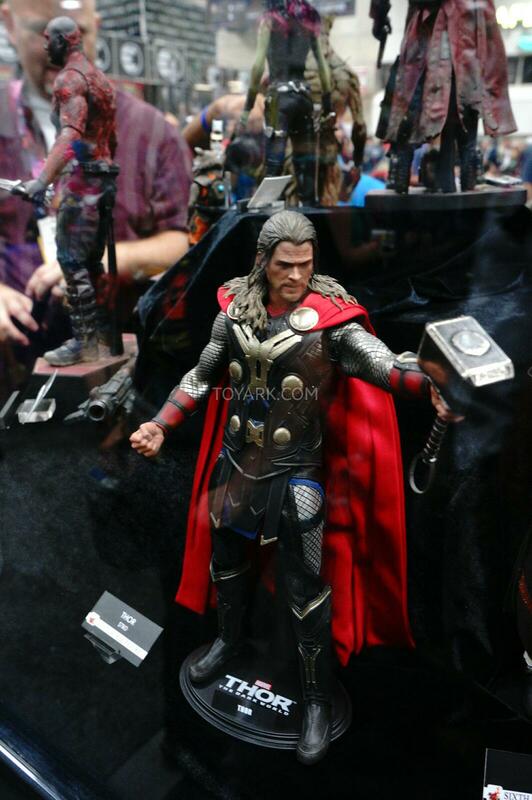 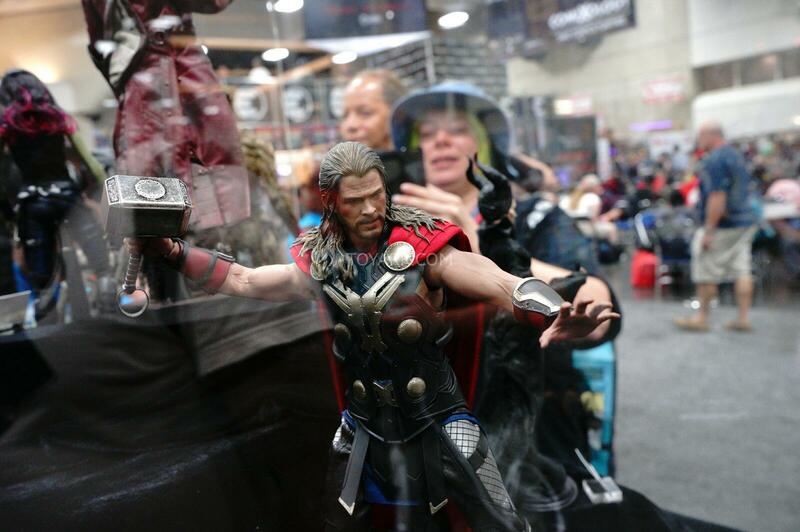 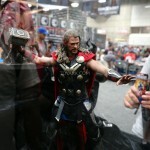 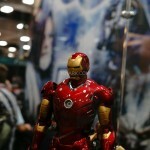 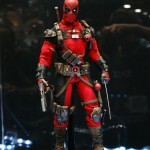 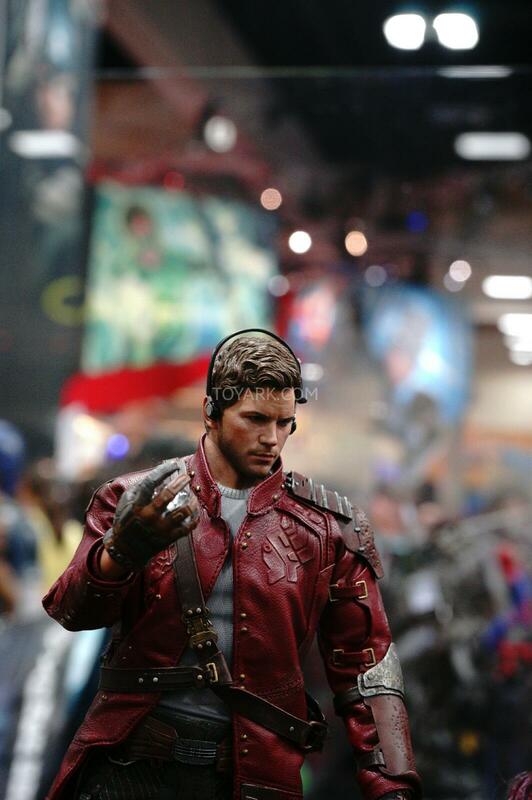 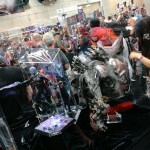 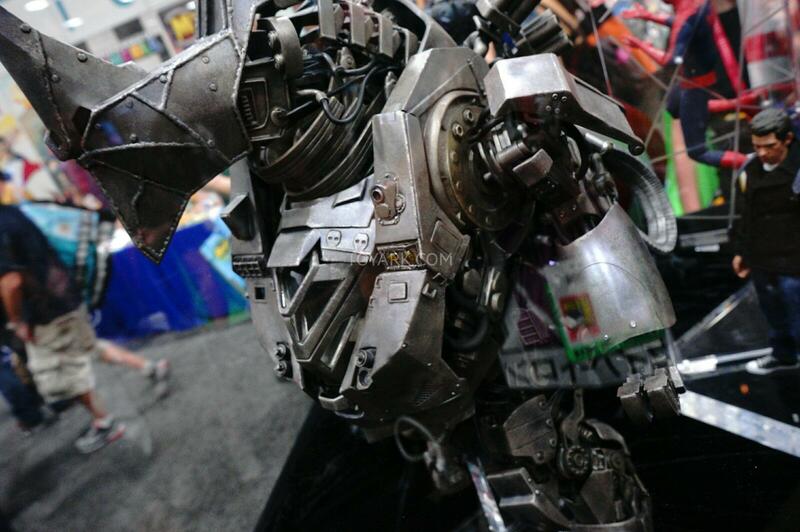 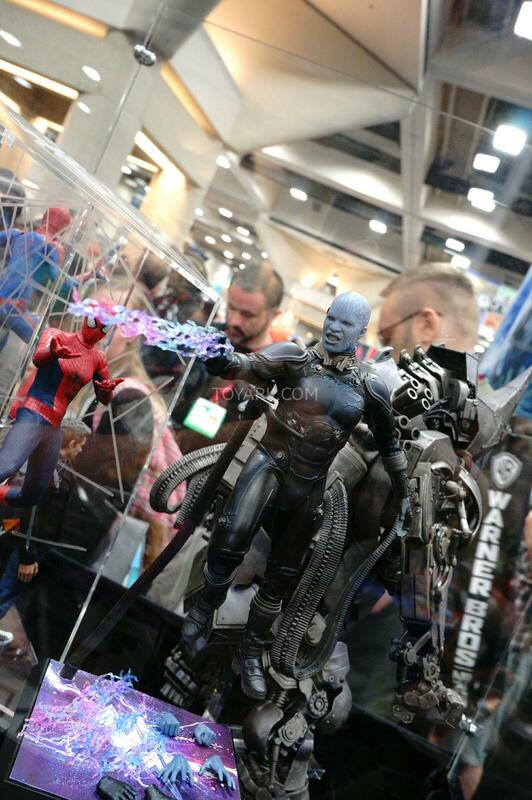 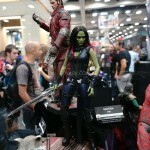 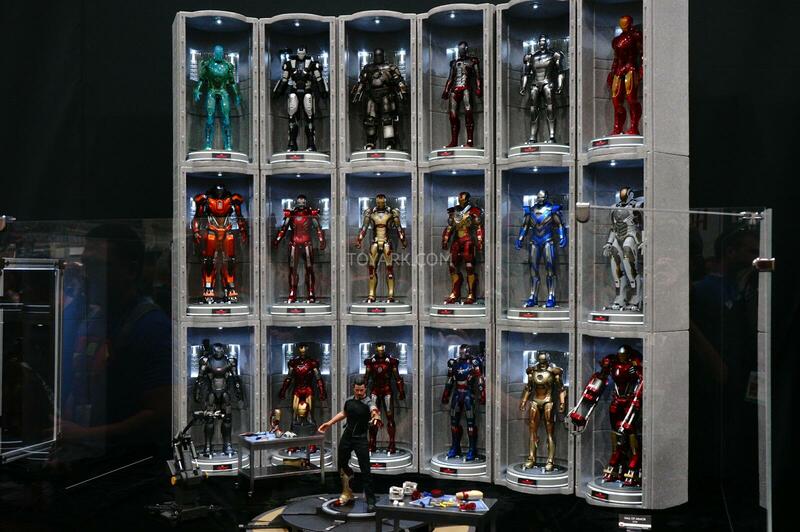 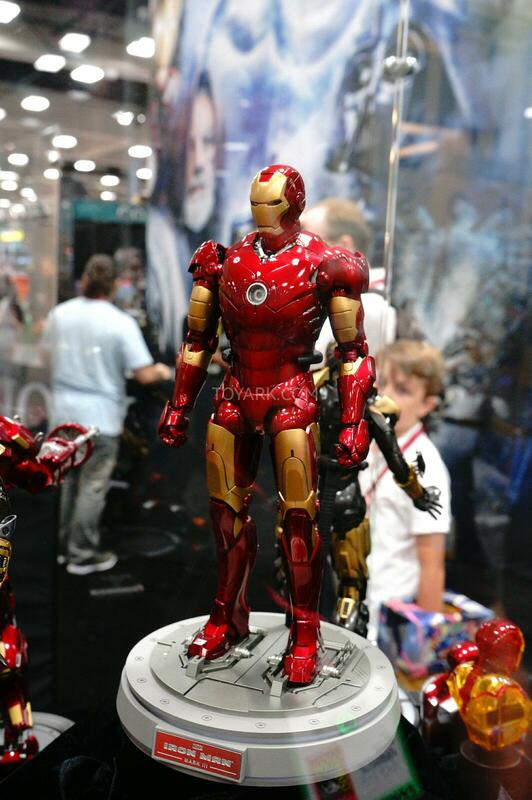 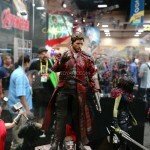 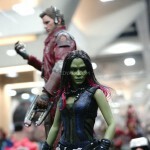 Sideshow had some awesome looking Marvel Sixth Scale Figures on display at San Diego Comic-Con 2014. 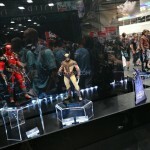 Included are both Wolverine and Deadpool. 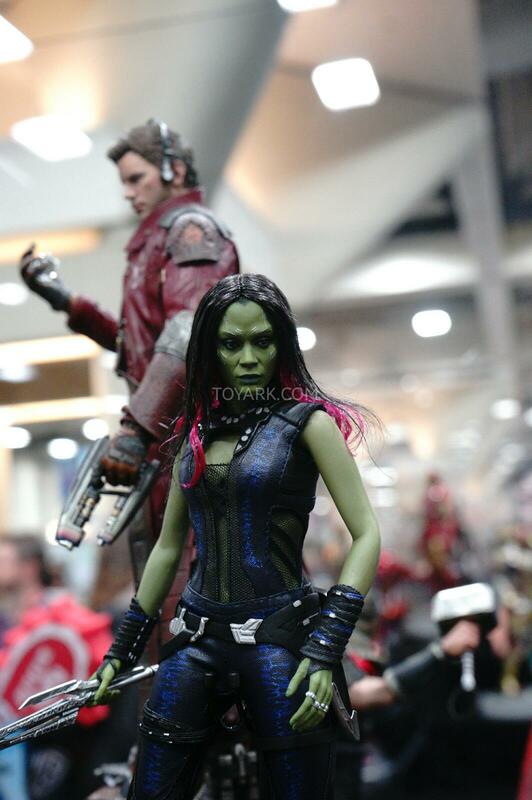 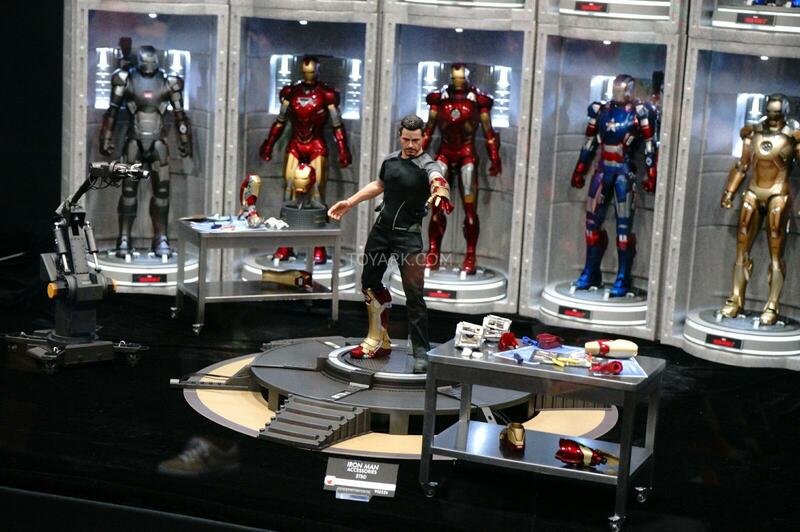 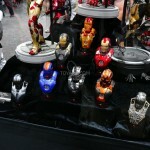 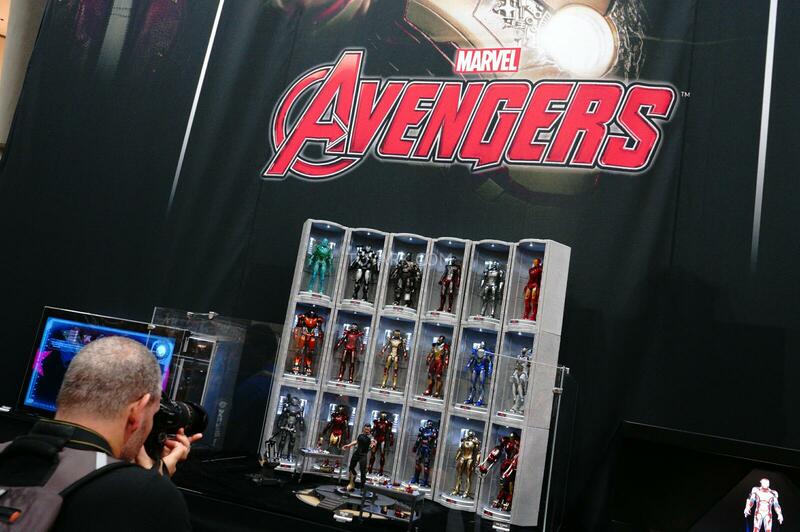 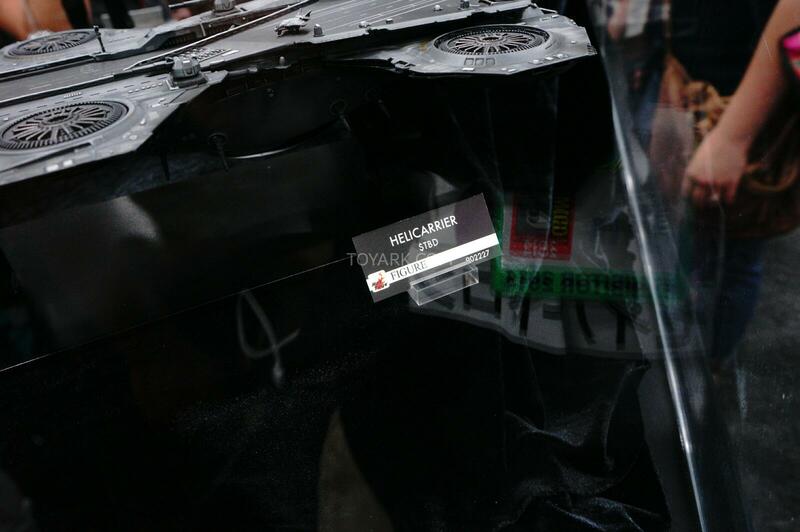 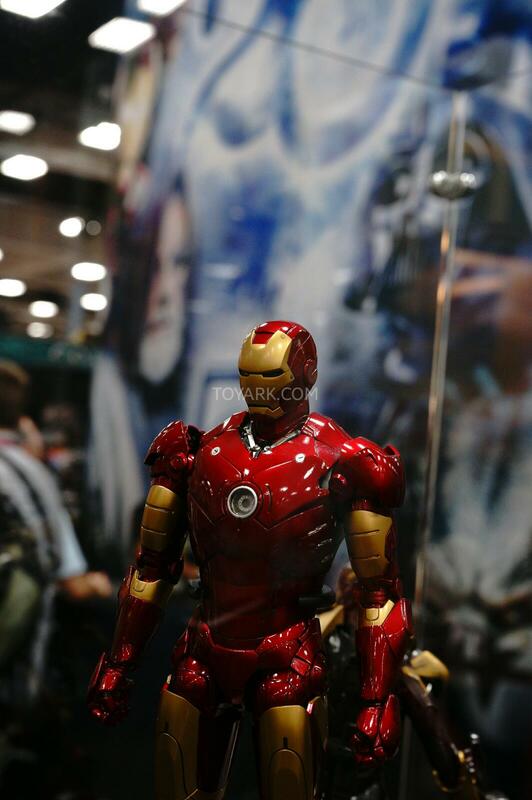 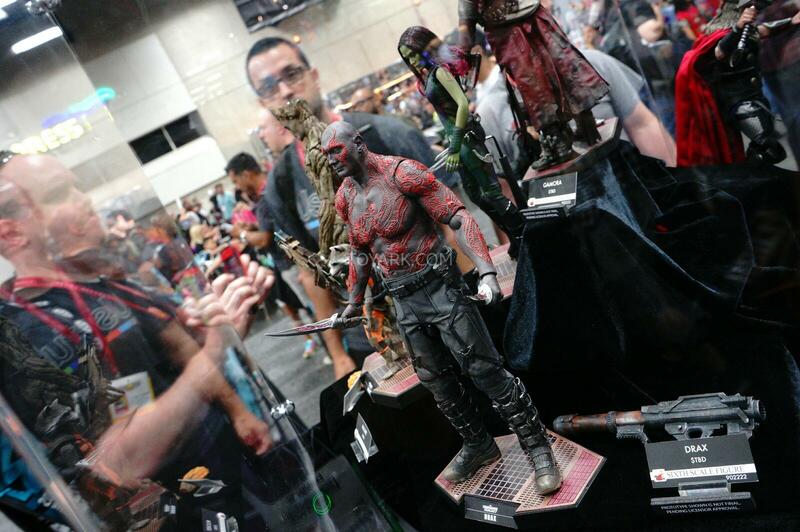 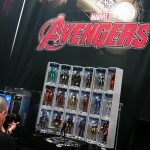 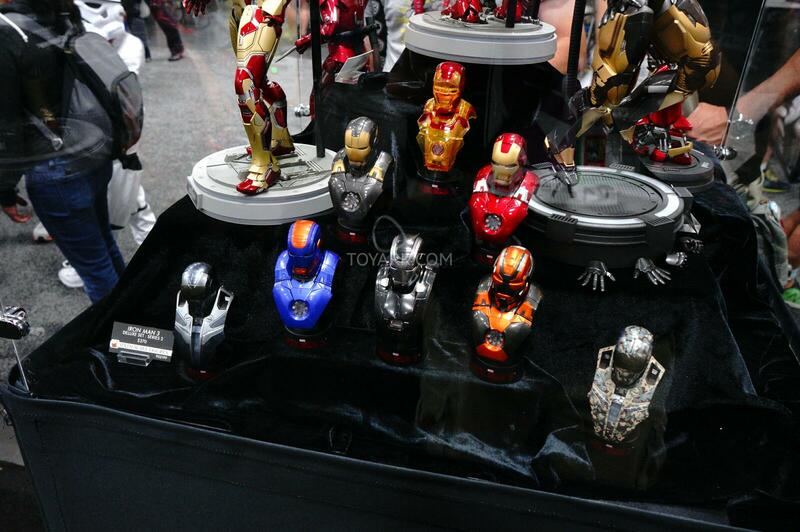 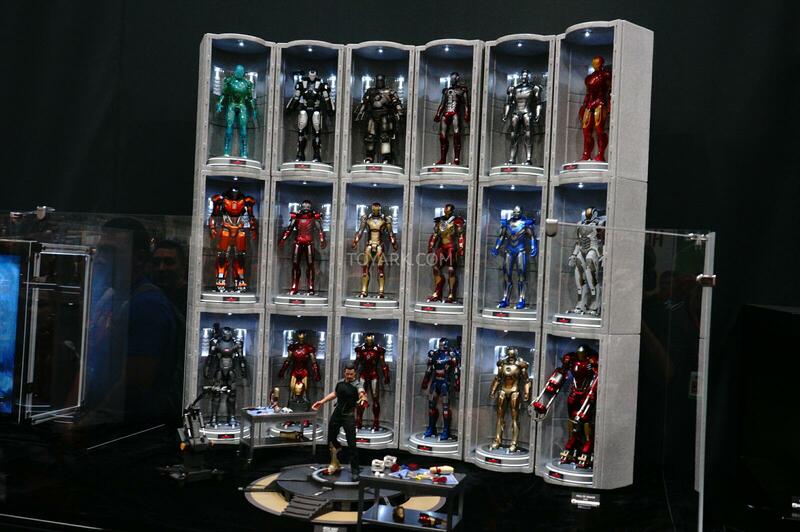 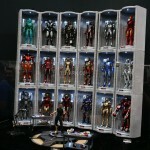 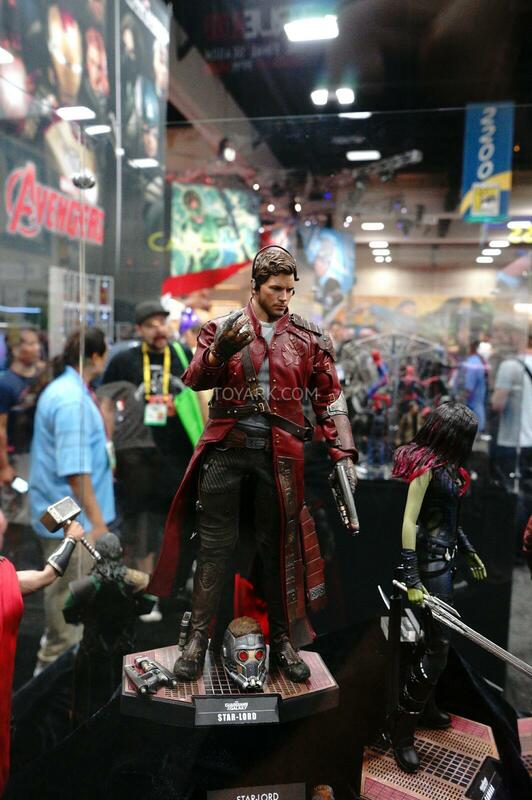 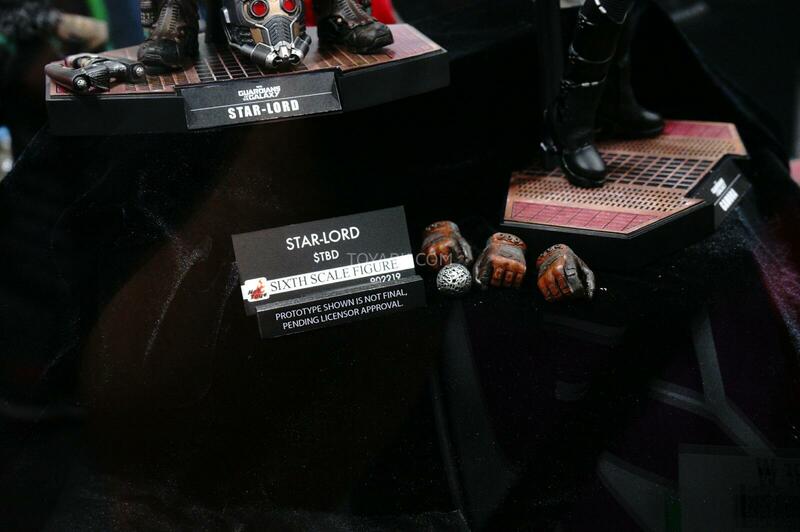 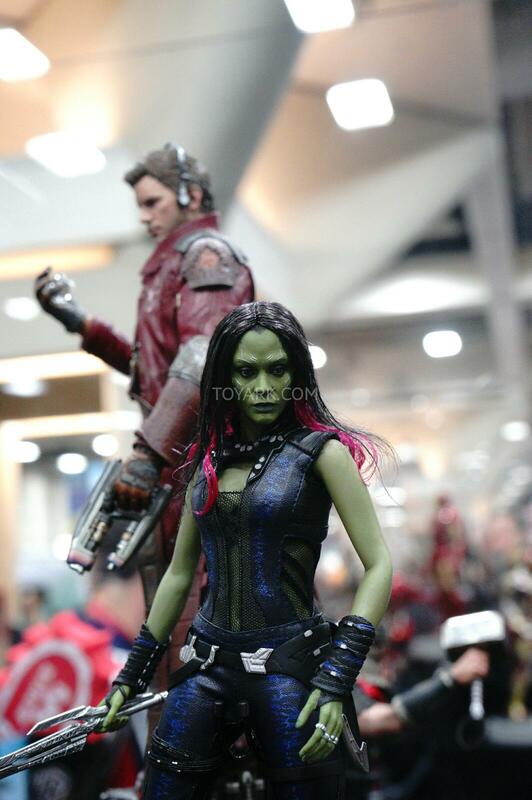 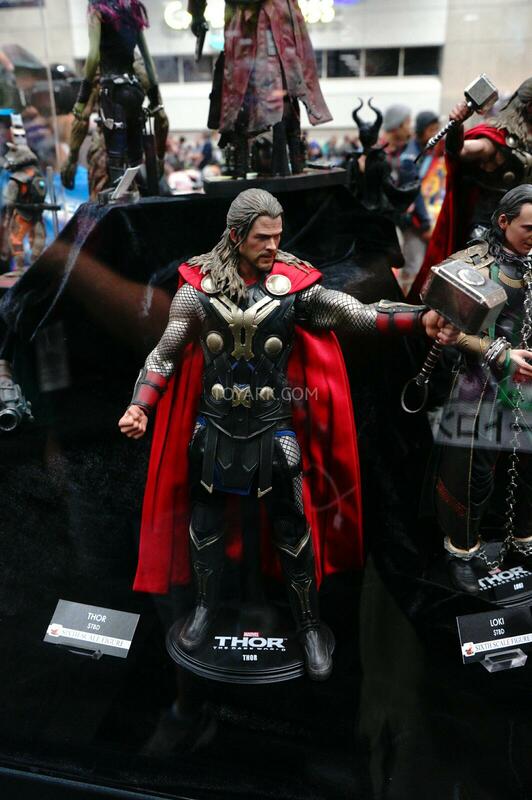 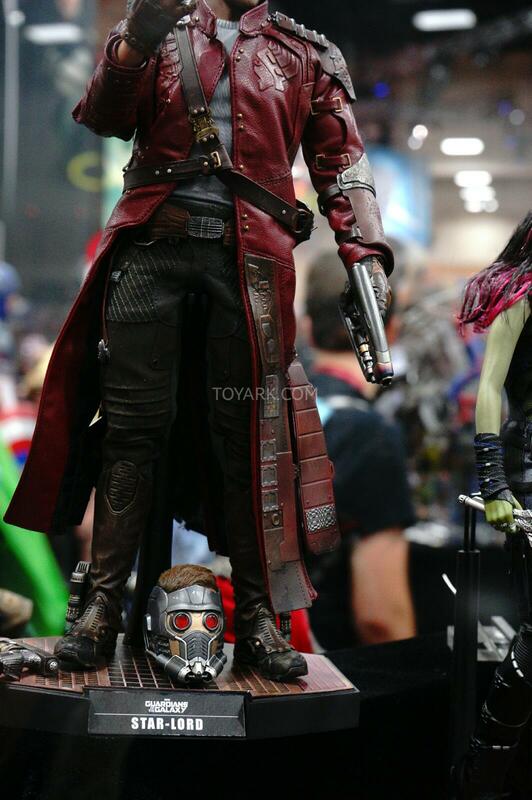 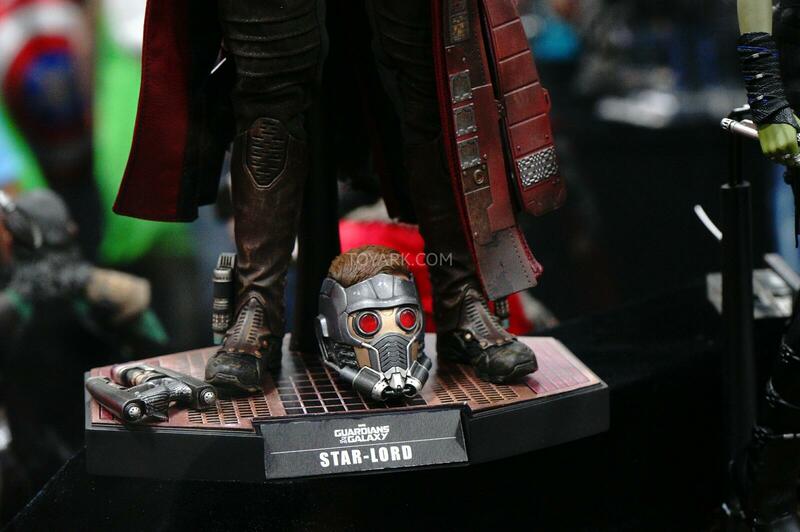 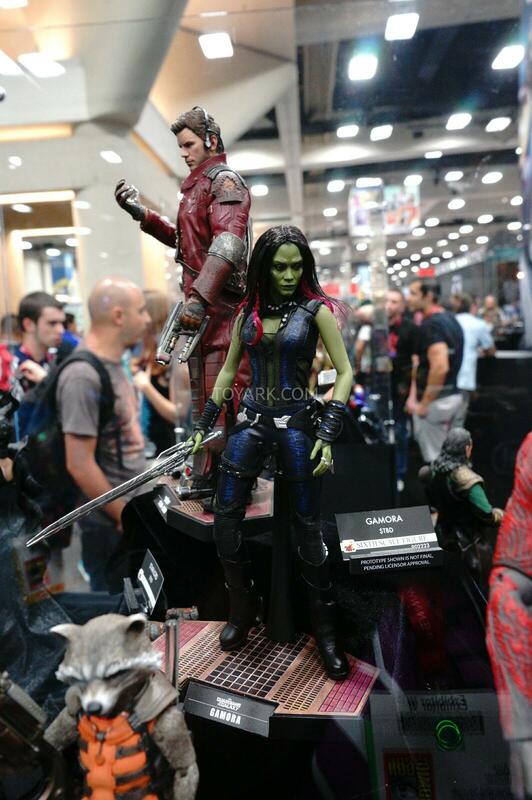 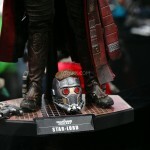 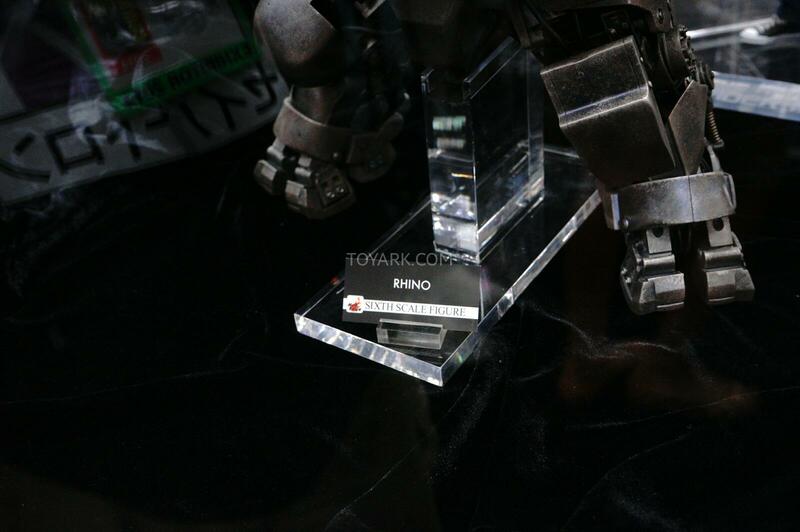 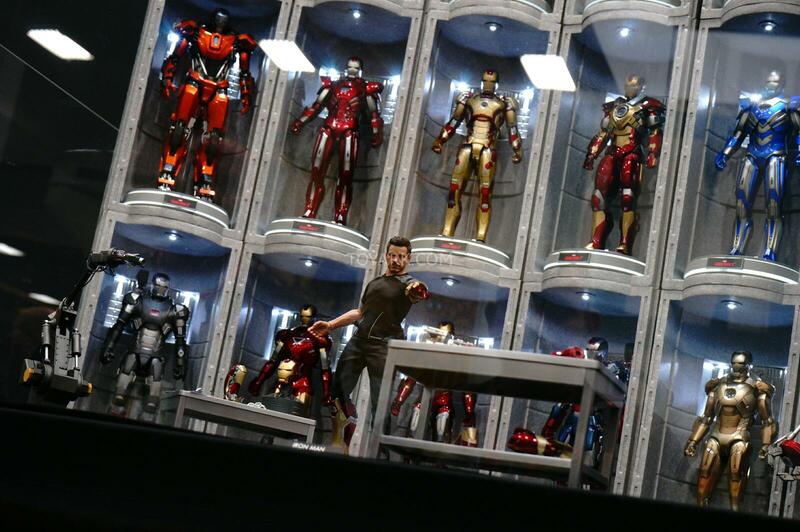 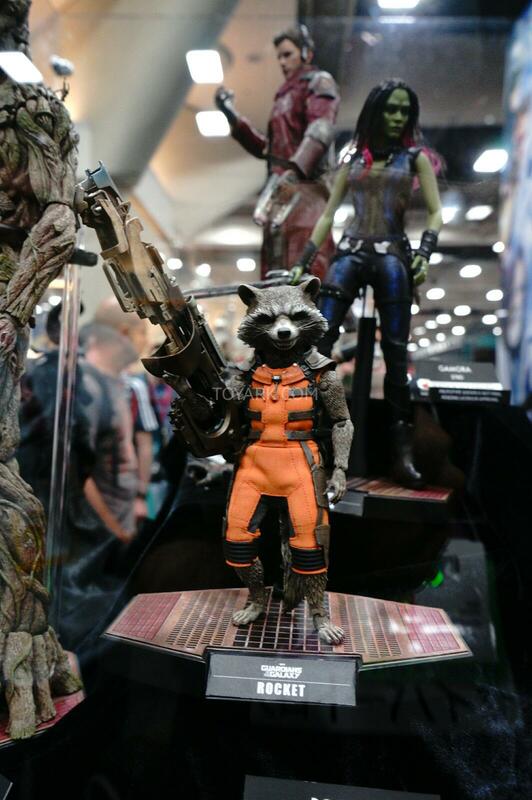 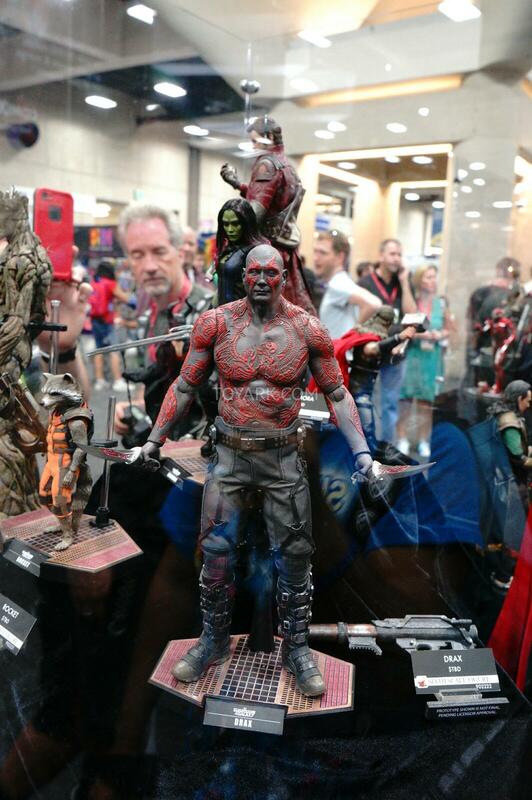 Updated images include Guardians of the Galaxy, Spiderman, Avengers and more. 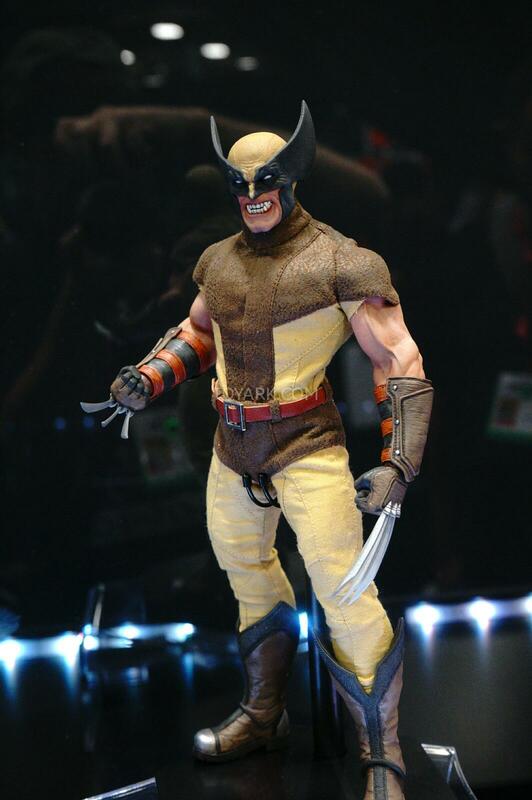 I have not read a new Marvel Comic in about 10 years, but I can honestly never seen Wolverine wear a suit like that. 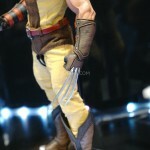 I have seen him wear similar ones, but not one quite like that...the color, gloves and steel toed boots seem new to me. 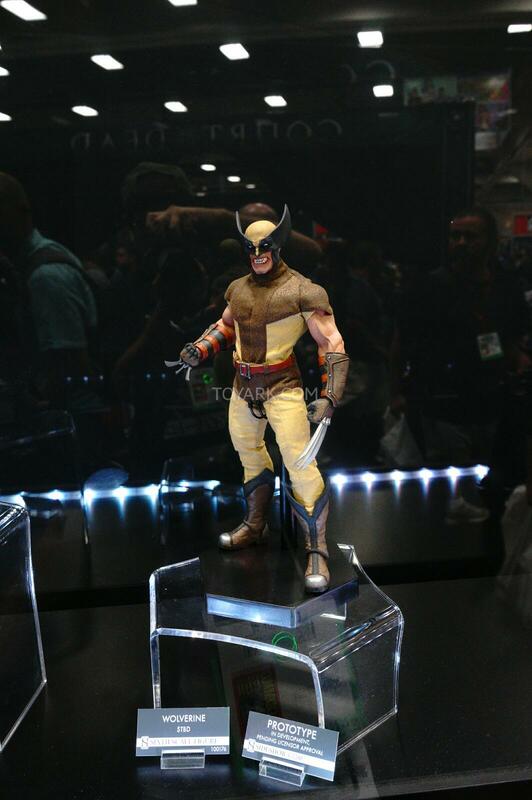 Strange because the DC and the rest of the Sideshow figures seem to stay as close to the original designs, but that Wolverine seems to take a few strange liberties on the design. 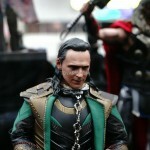 Let the flood gates open! 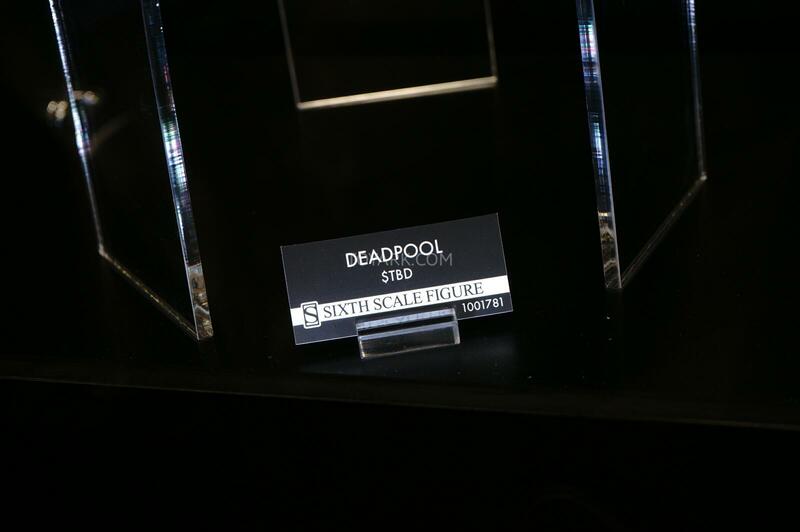 I love how SSC got the marvel comic license. 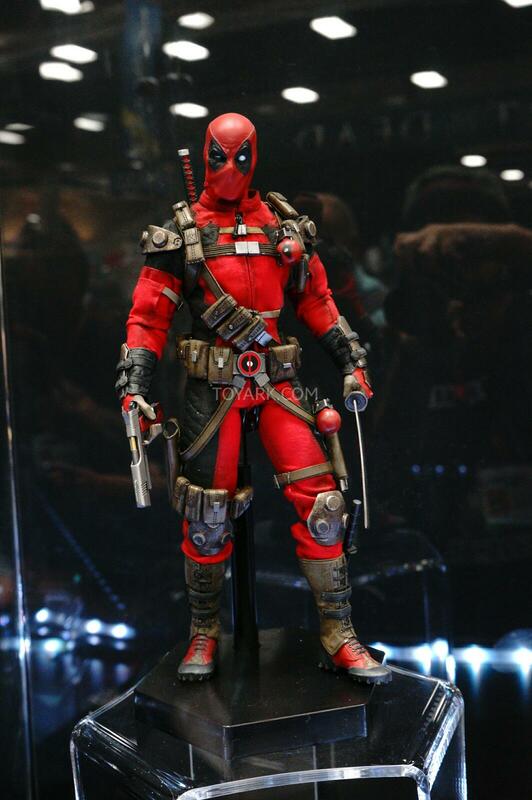 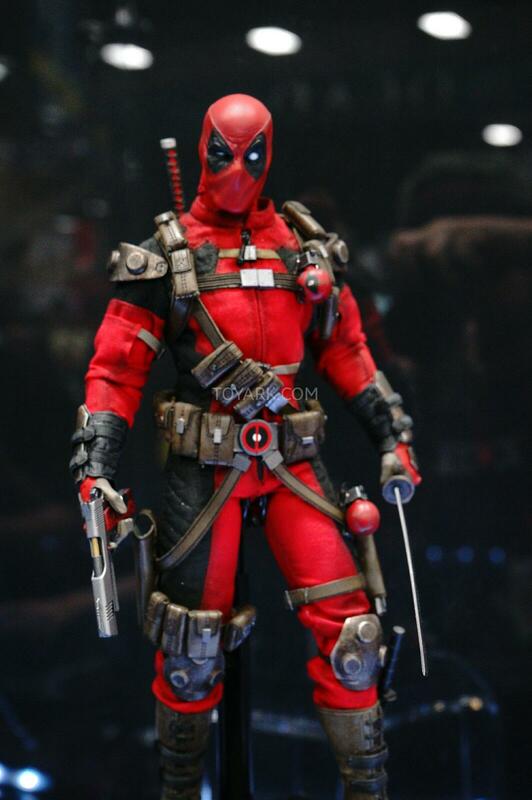 That deadpool looks really good. 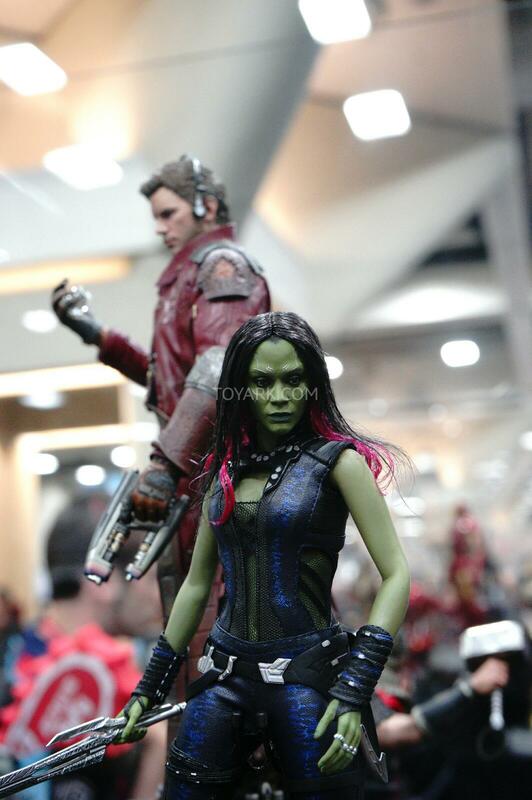 looks like their wearing winter cloth fabric.. it looks aright but they wear tight spandexy cloths in the comics right? 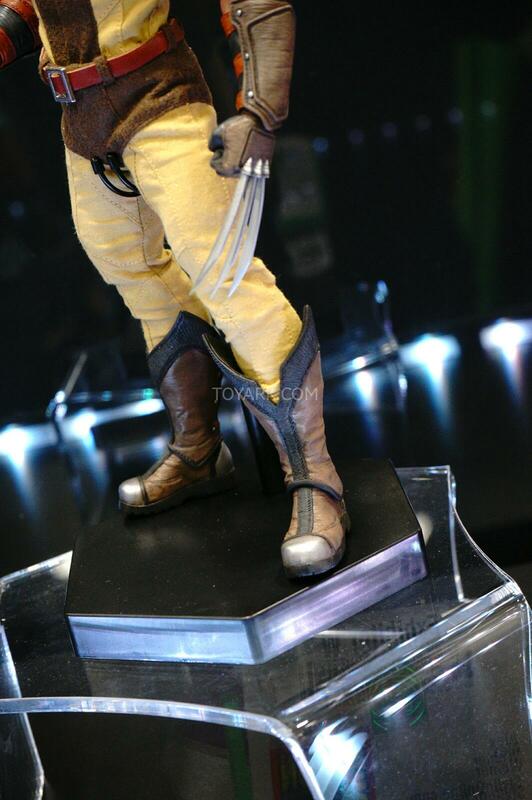 the yellow is to faded for me. 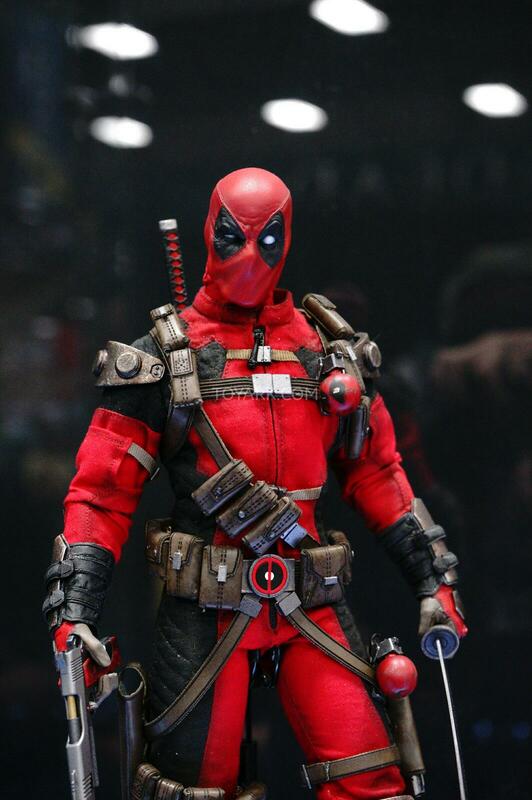 the deadpool is sick and Im not even a fan (I think deadpool became a bandwagon of popularity) I will admit I like his goofiness better than spidermans. 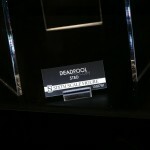 why are they showing ASM1?. 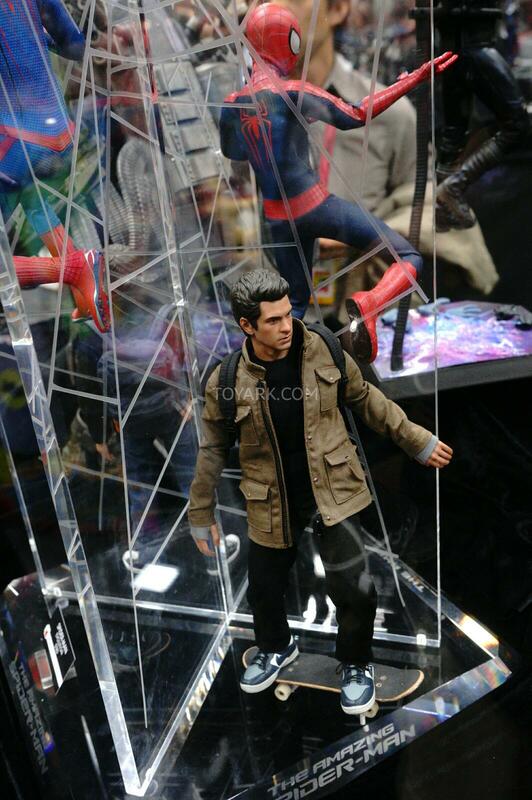 kinda pissed it looks like they separated peter parker..shoulda been a two pack with the price anyway.. 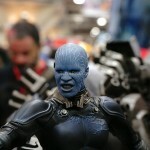 I'm going to show Ripley to my mom as she kinda looks like her, she may get a kick out of it. 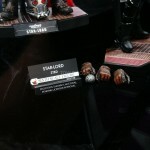 evil-dead not ready for display? 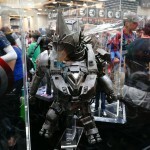 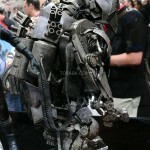 wheres the full shot of batman AC? 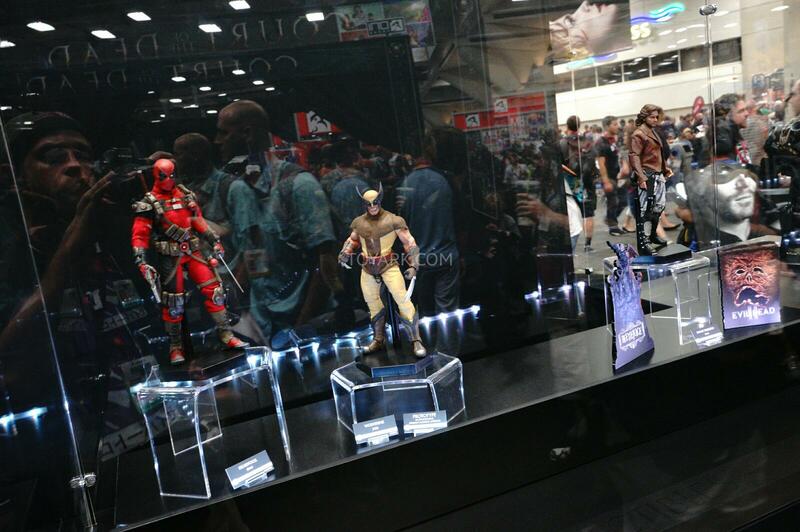 Deadpool and Wolverine look great! 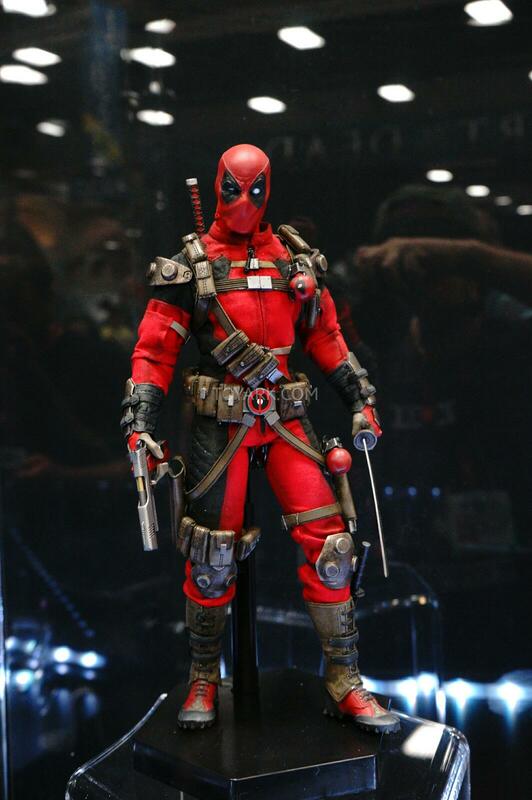 I love how they used Deadpool's Marvel NOW costume with a couple of changes here and there. 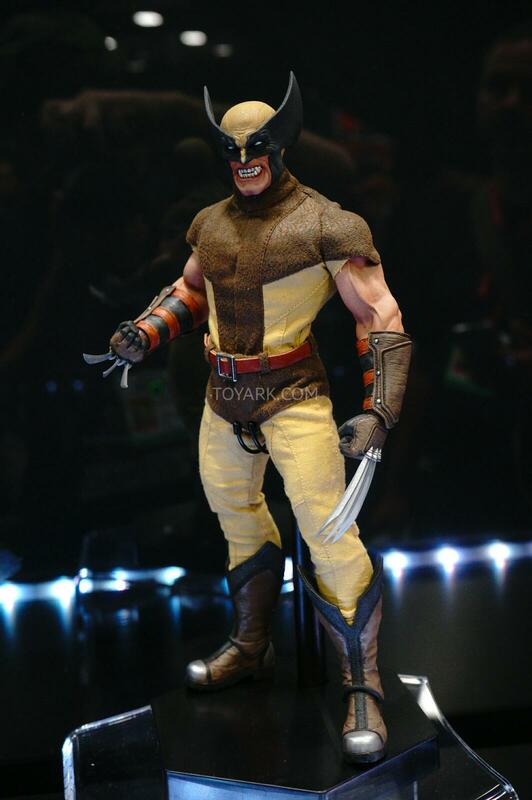 The fabric they used for Wolverine's suit will take some getting used to, but they used my favorite costume of his so it's a definite buy. 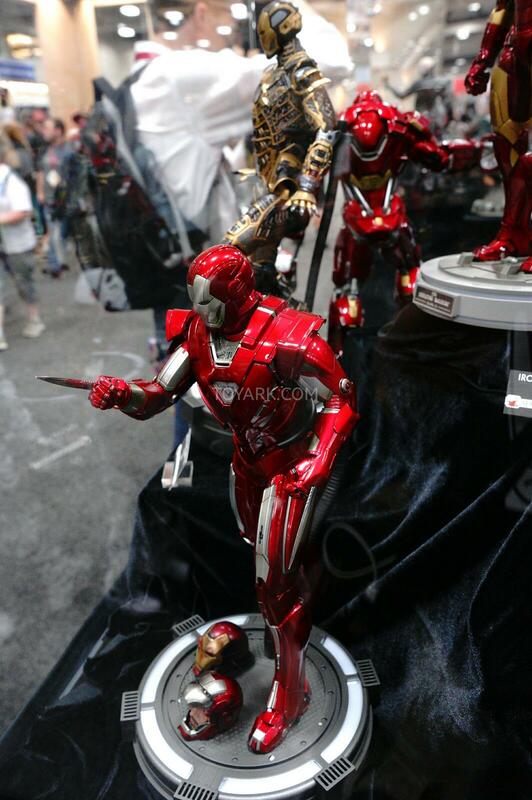 Flash... ehh, I may have to wait and see what the final product looks like. 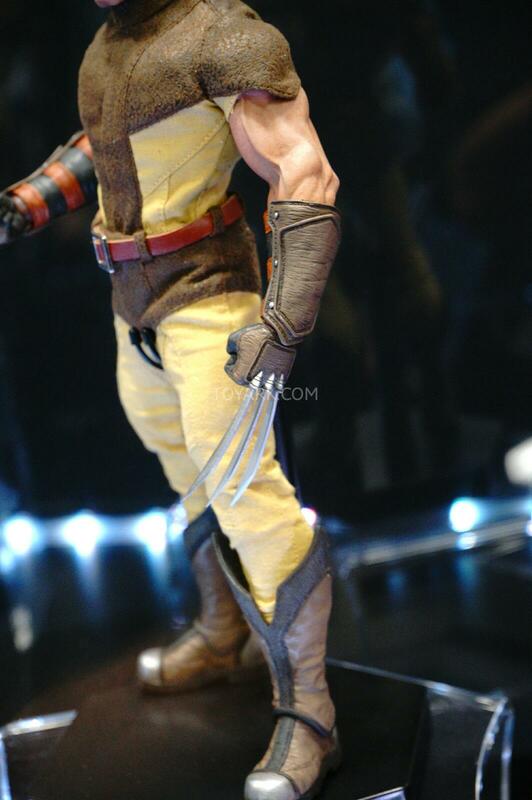 It just tooks too odd that most of his costume has that same kind of texture but then his mask is smooth. 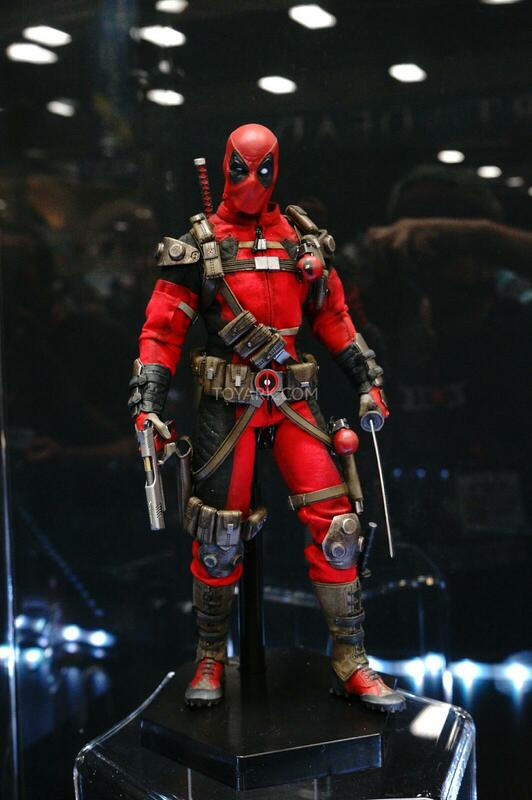 They should have had more variation in the suit, or sculpted more of that texture into the mask. 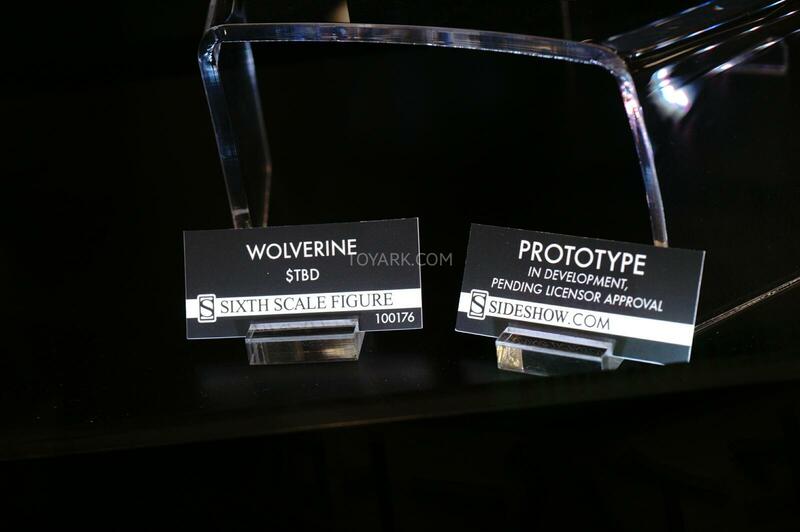 Sideshow's goal with their 1/6 comic lines have been to produce iconic characters with slight design style changes which make them uniquely Sideshow Collectibles products. 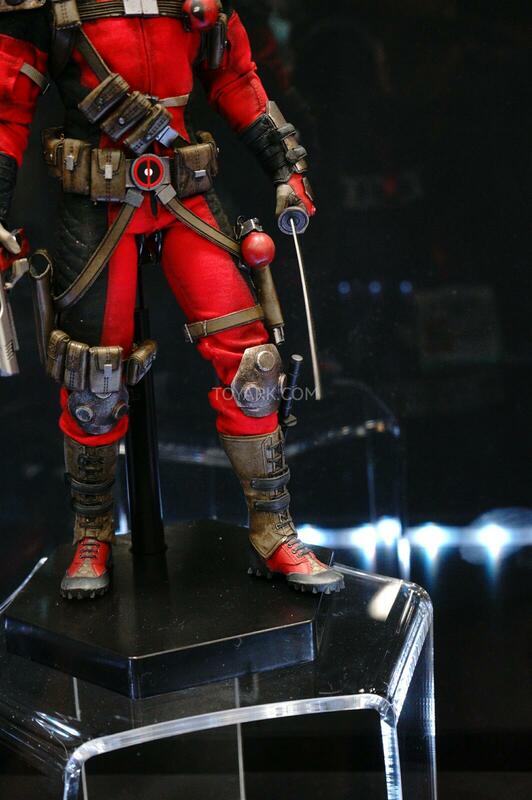 They haven't done any major changes with their DC items, but Harley Quinn and Catwoman are the most indicative of it. 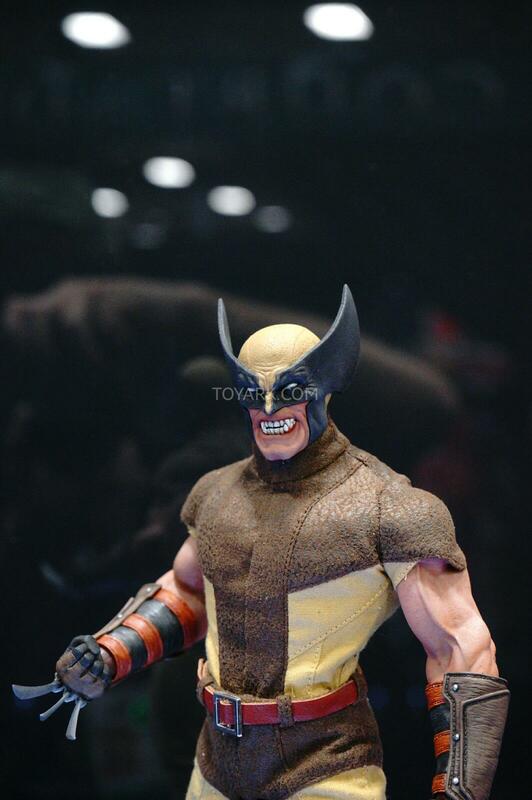 They're also taking some liberties with the type of fabrics used for Flash and Green Lantern's costumes. 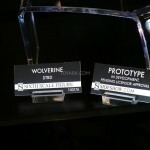 Wolverine's is definitely the biggest departure from the source. 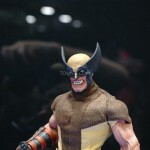 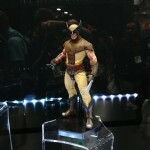 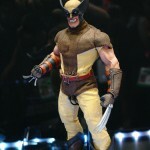 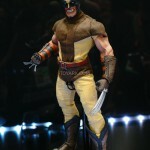 Really like how this Wolverine looks, and that it's the brown costume. 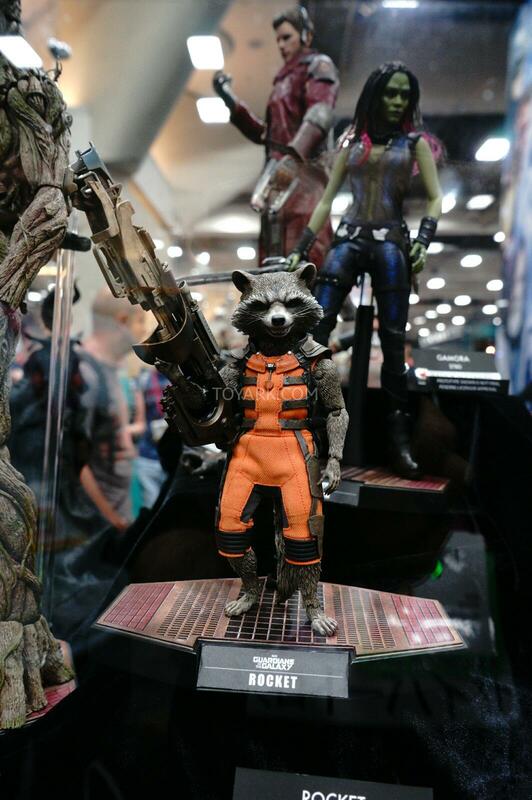 I like how they take creative liberties with the designs for their 1/6 scale figures, it adds to the realism and gives us a fresh take on familiar costumes. 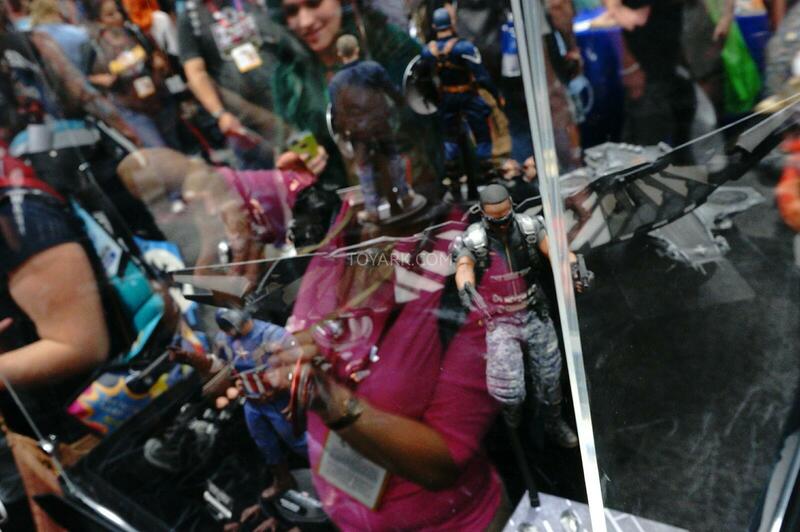 so I'm assuming power girl's super power is distraction, yes? 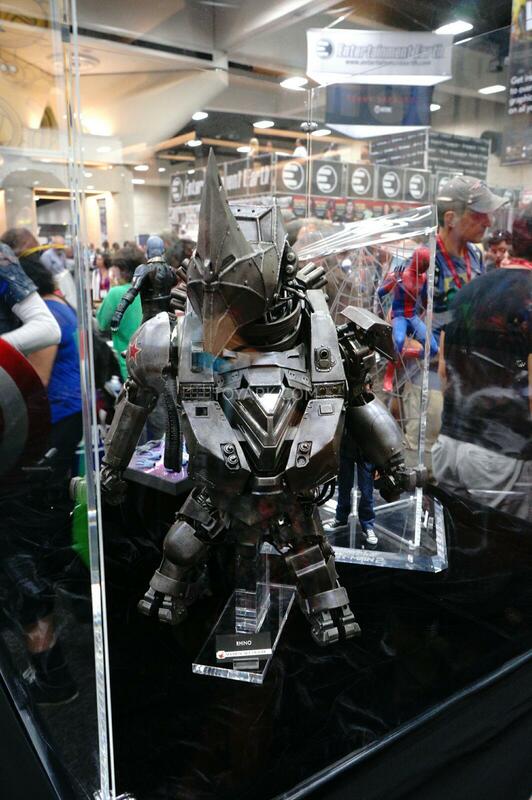 good lord. 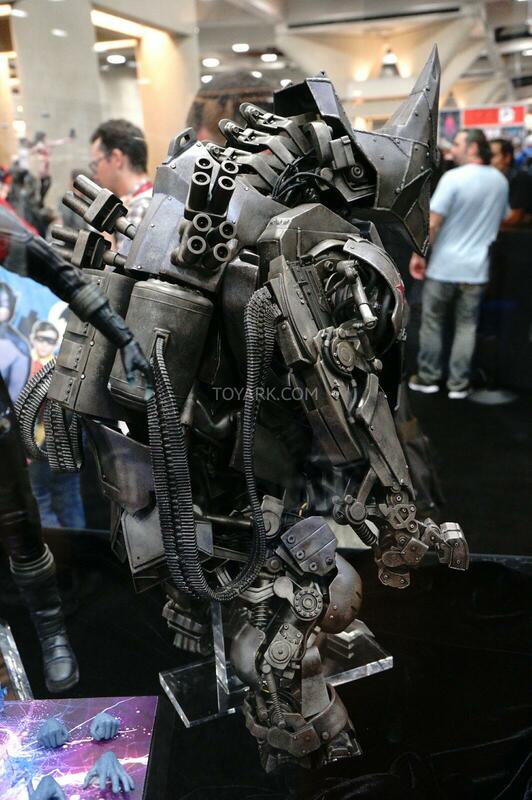 That Lobo is pretty fantastic. 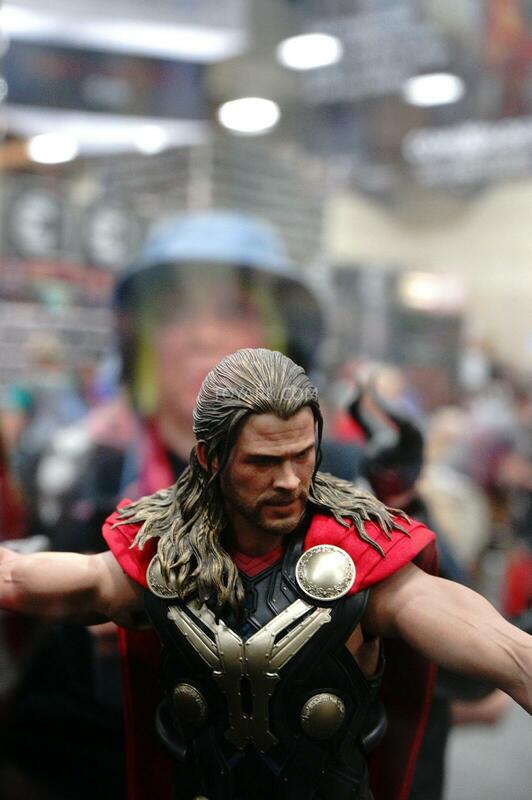 Great likeness and sculpt.